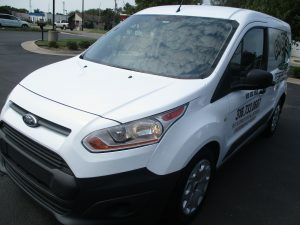 We Strive To Exceed Our Customers Expectations! 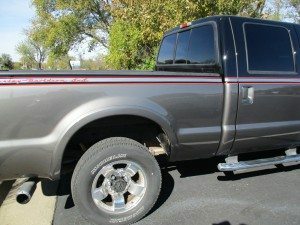 Just take a look at these before and after pics! 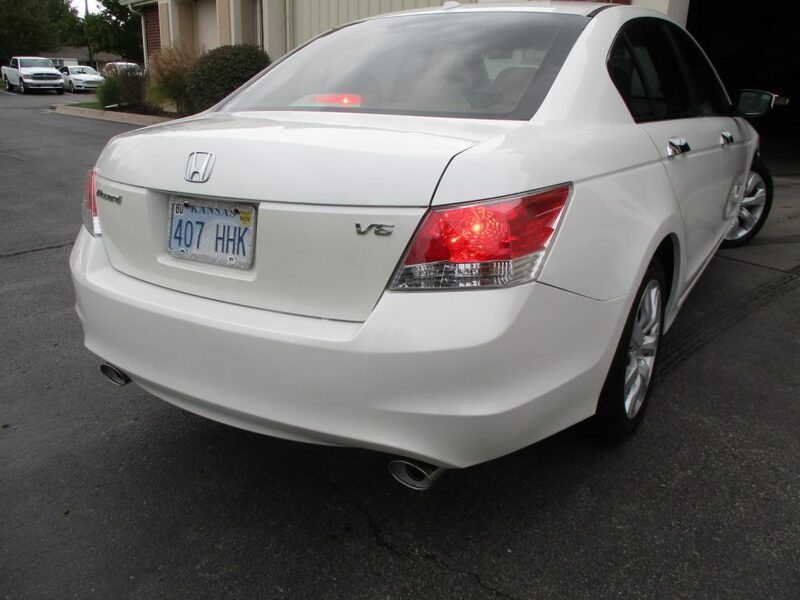 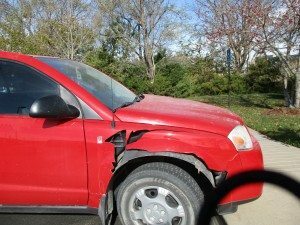 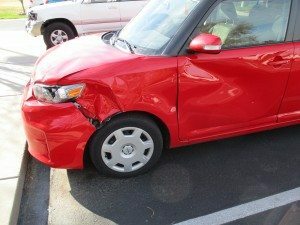 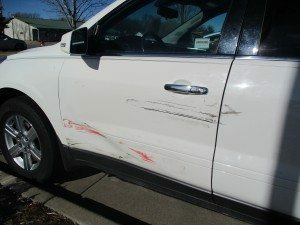 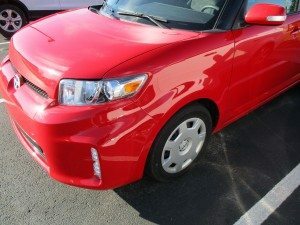 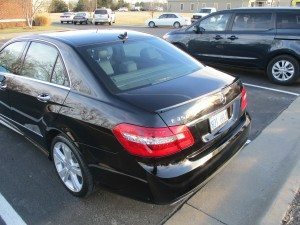 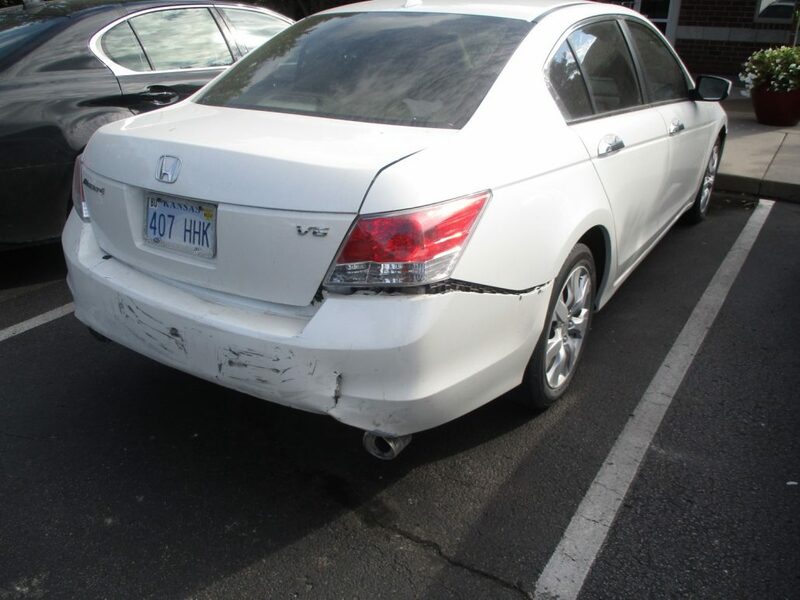 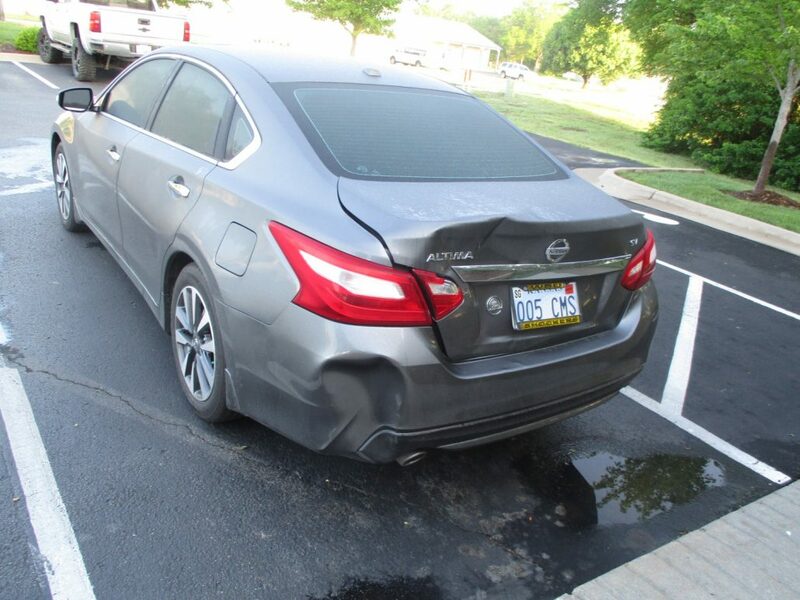 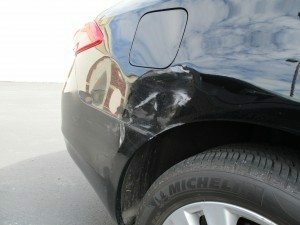 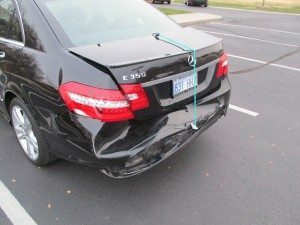 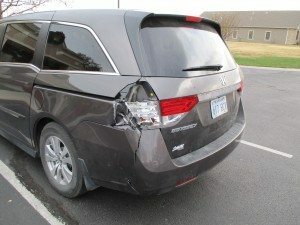 On her way to work in Wichita, KS, Linda was involved in a collision that caused significant damage to the passenger side of her 2009 Toyota Camry. 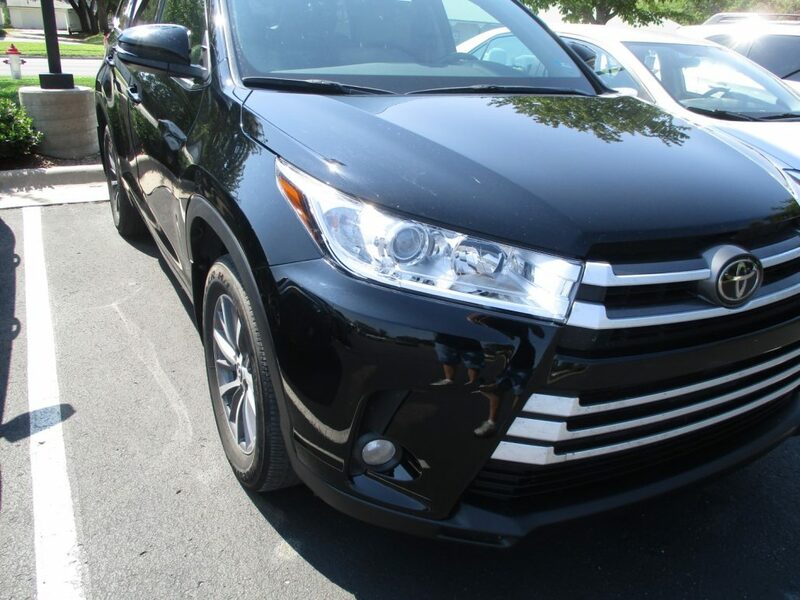 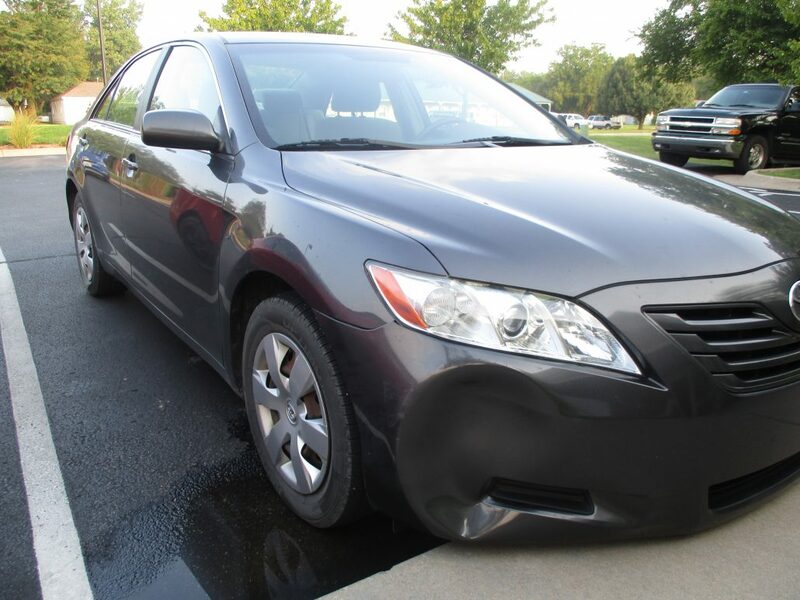 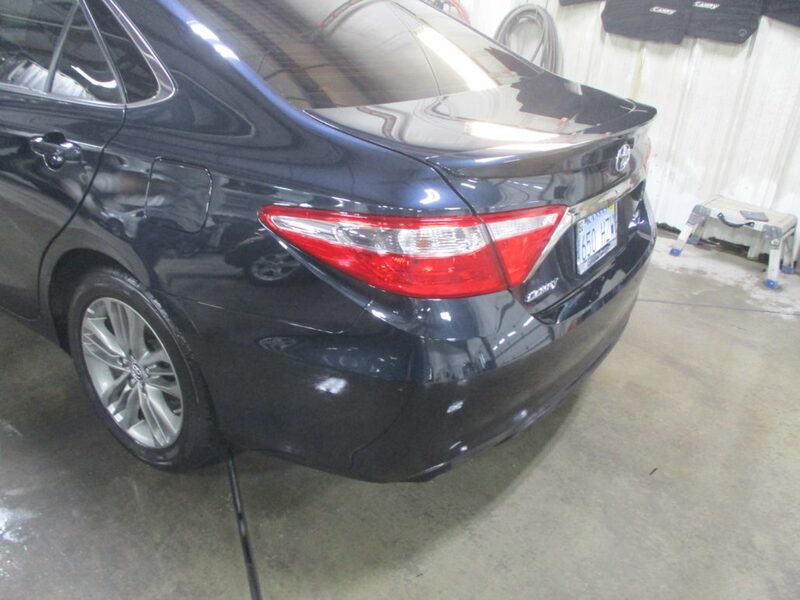 The team at Collision Center of Andover repaired the Camry overnight, after repairing damage to the right side of the front bumper cover, fender, right headlamp, mirror, and both doors. 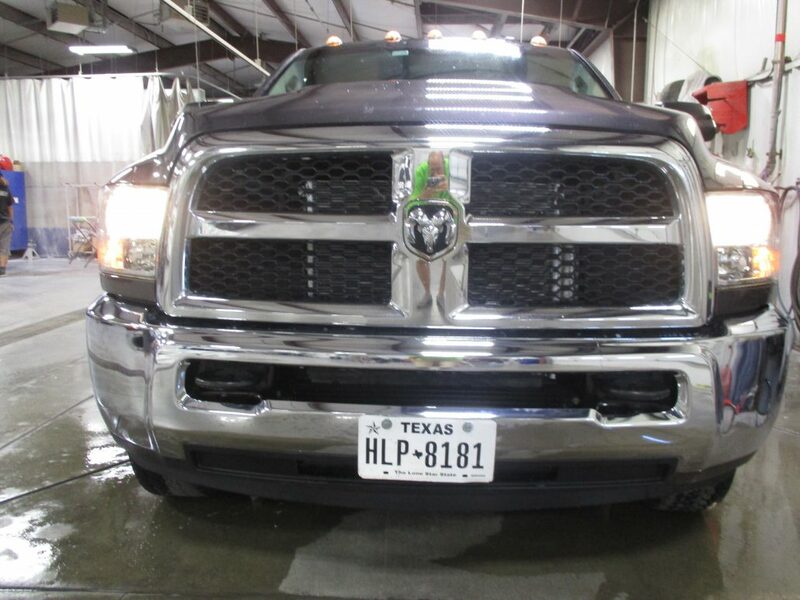 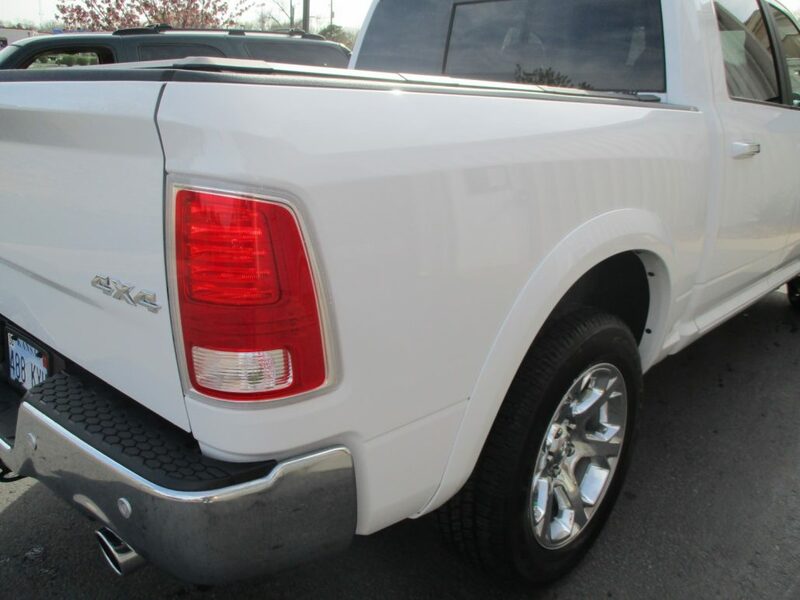 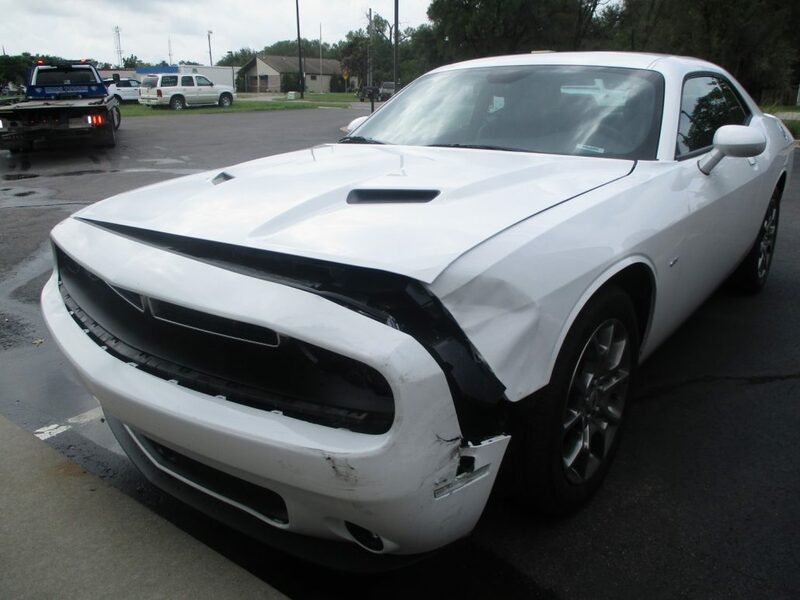 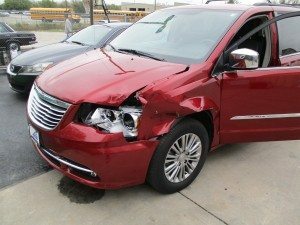 Karen’s 2014 Dodge Ram needed repair after a front-end collision in Wichita, KS. 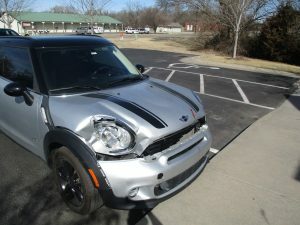 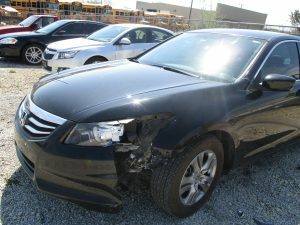 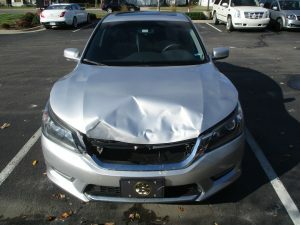 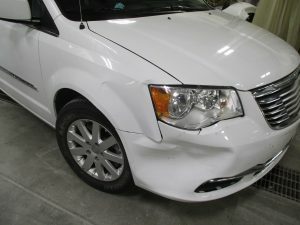 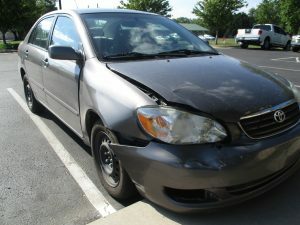 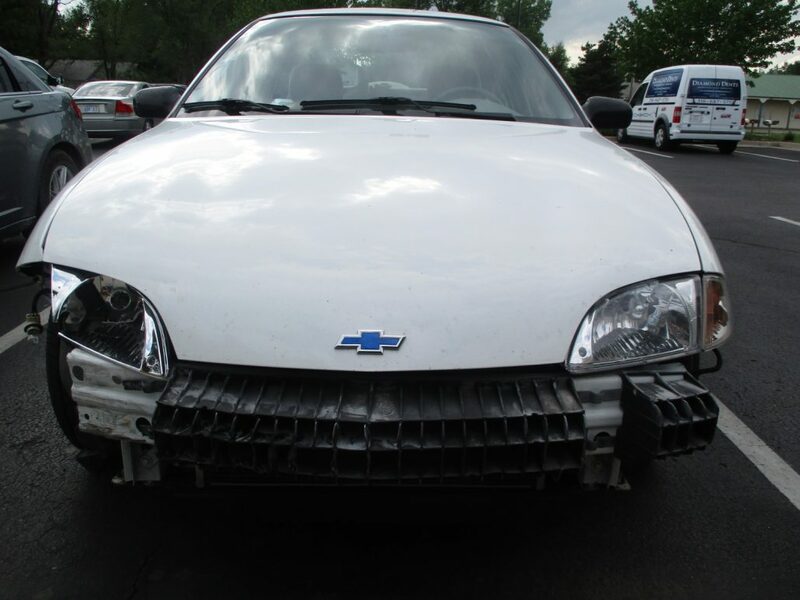 The vehicle had frame damage, and our team replaced the radiation and A/C Condenser. 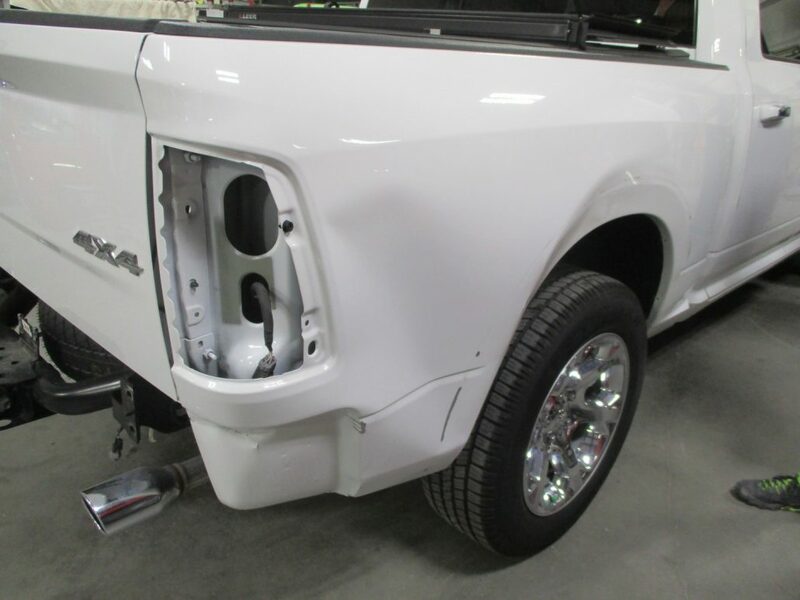 This repair was a quick turnaround, being delivered just four days after it was received. 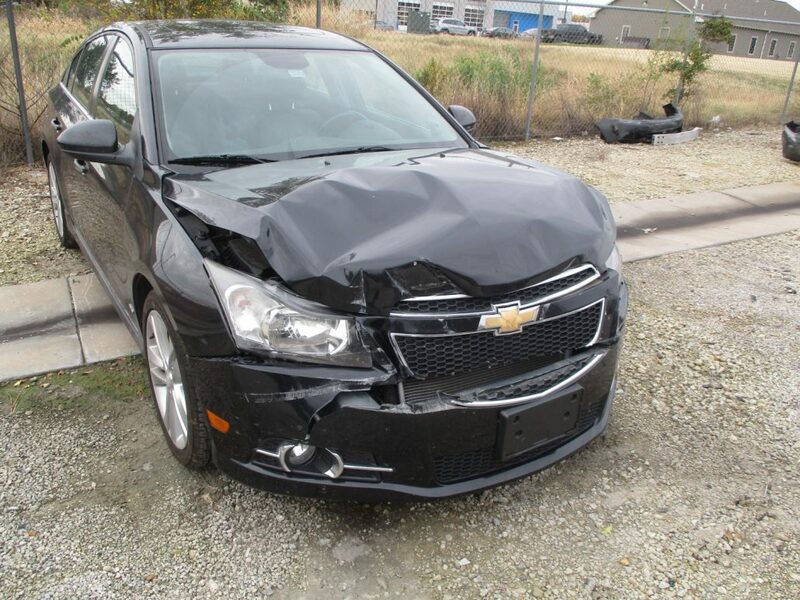 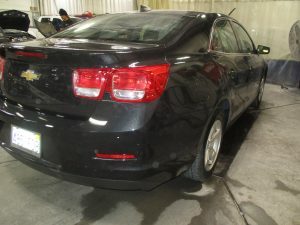 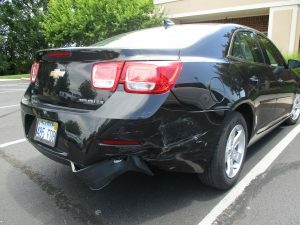 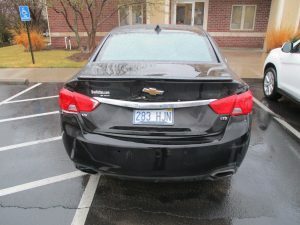 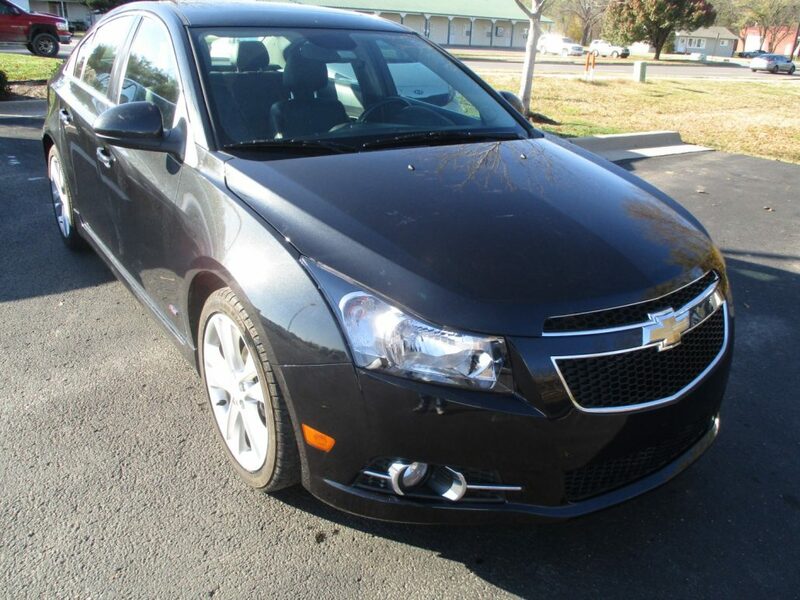 With a whopping 100 repairs needed, Richard’s 2015 Chevrolet Malibu was in bad shape when it arrived at Collision Center of Andover. 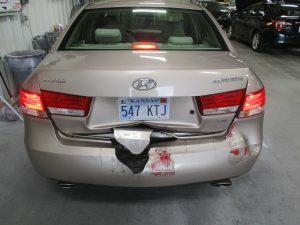 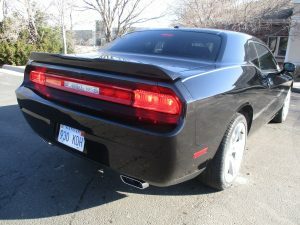 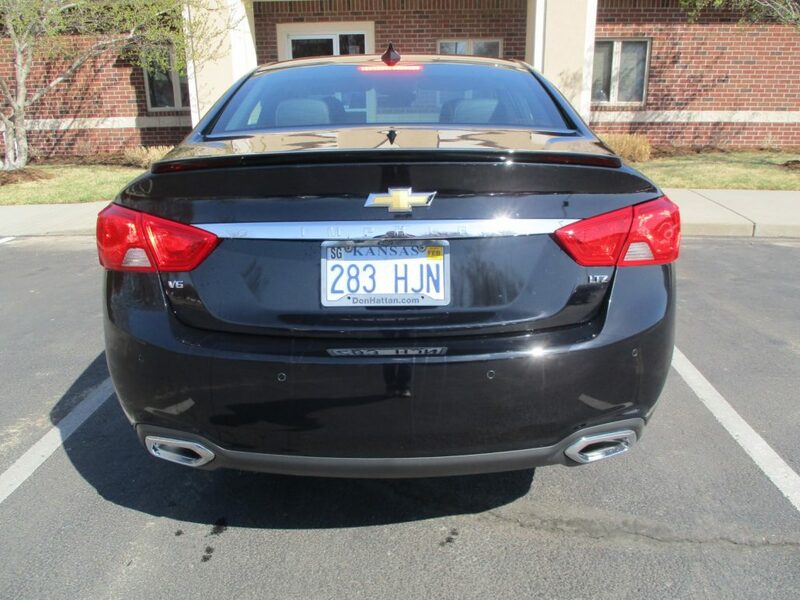 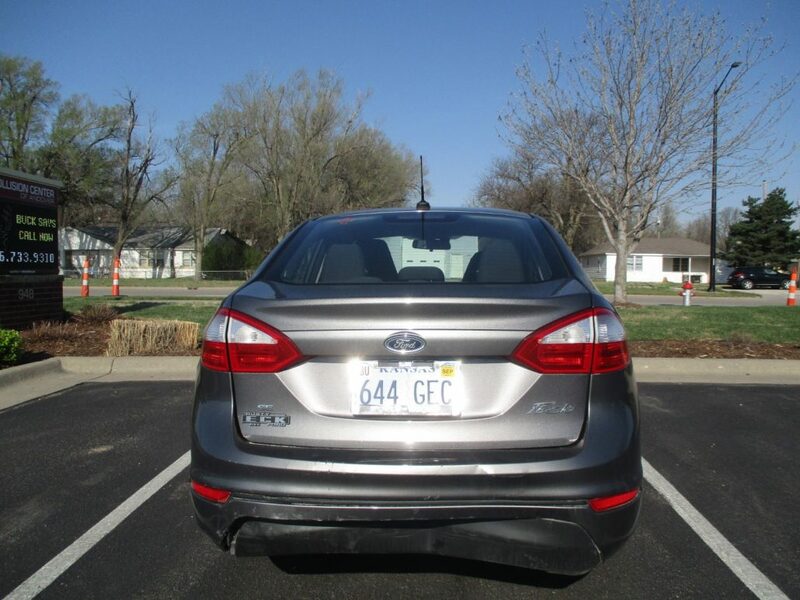 After being involved in a collision in Rose Hill, Kansas, it needed work on the left and right quarter panels, left and right side rails, tail lamps, rear bumper and more. 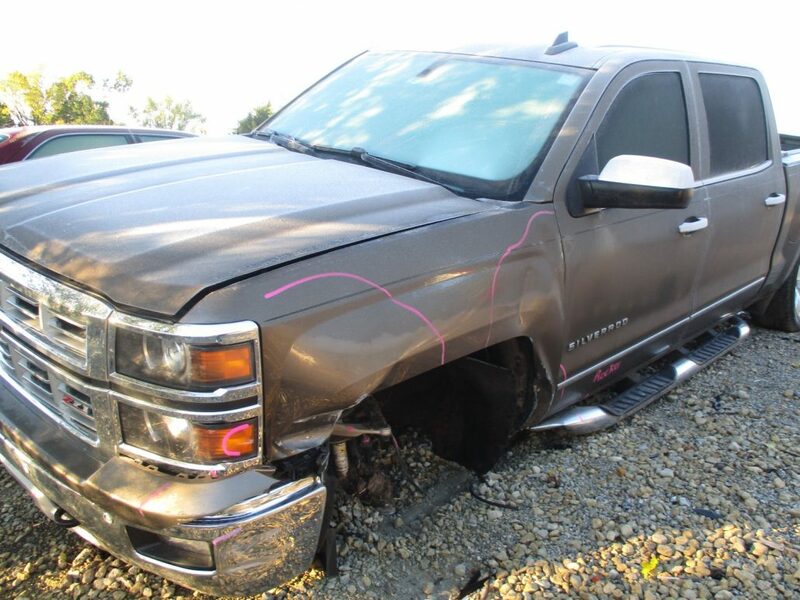 Despite such extensive damage, the vehicle was ready for pickup one week after its arrival. 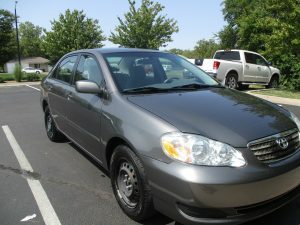 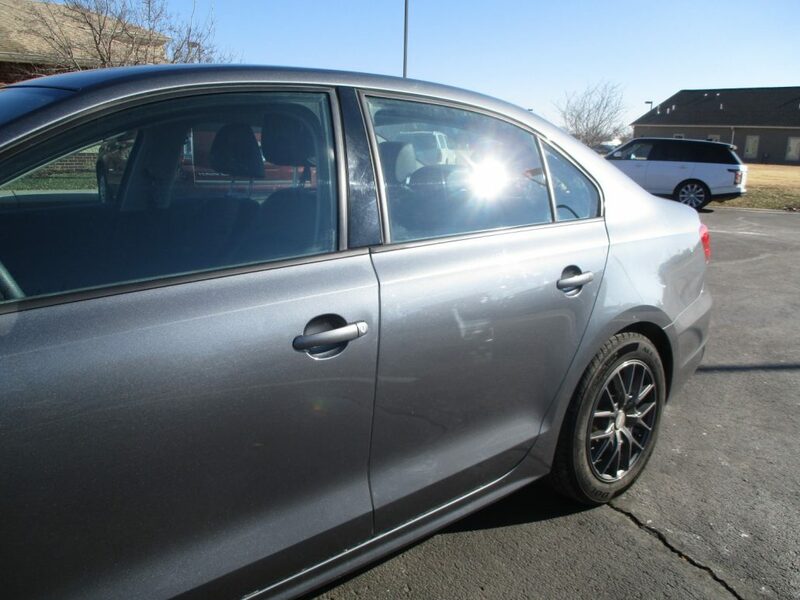 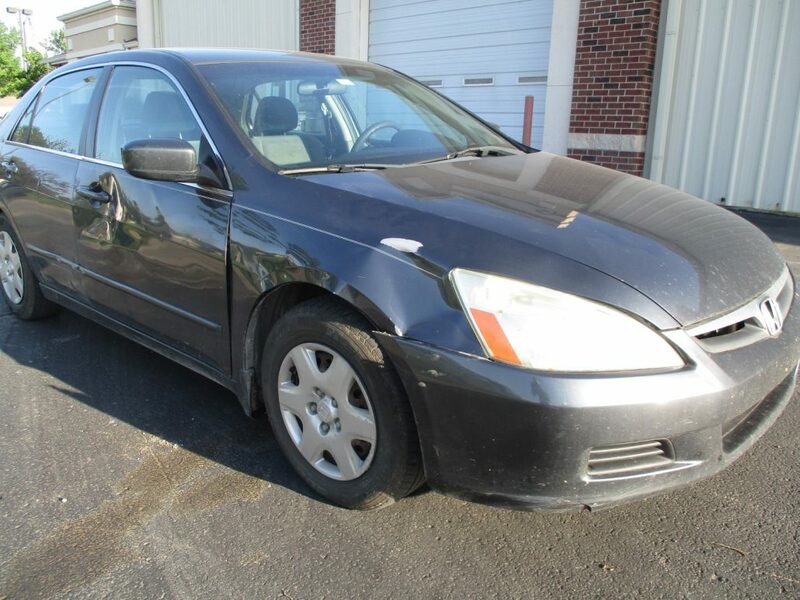 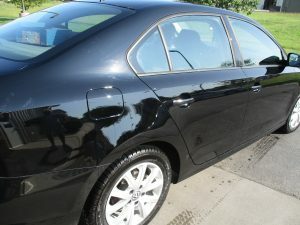 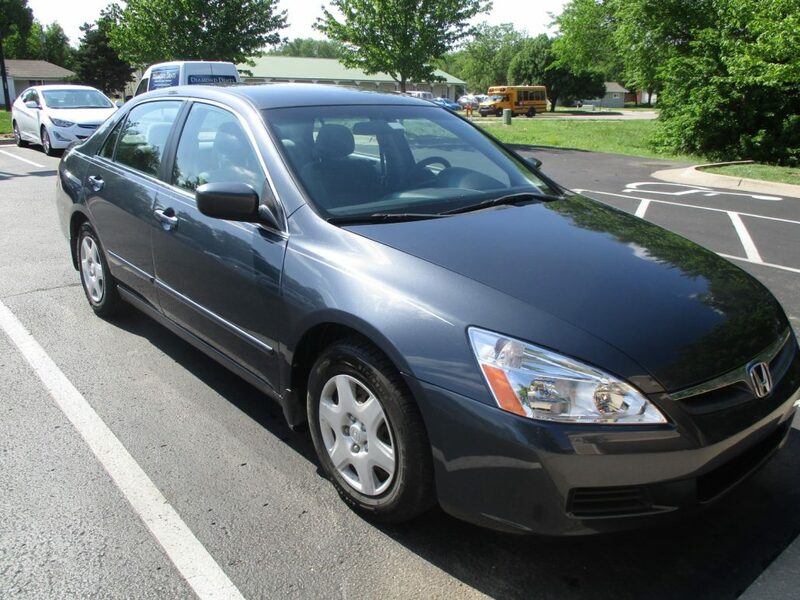 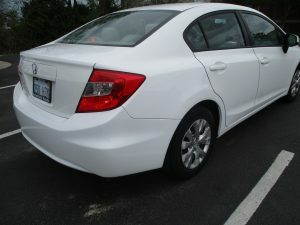 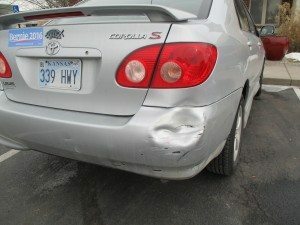 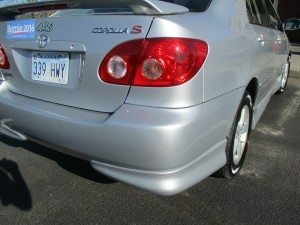 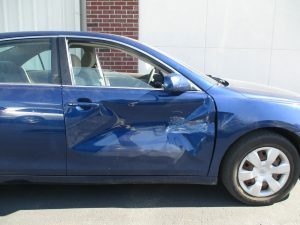 Jonathan’s 2008 Toyota Corolla needed repair after damage occurred in Andover, Kansas. 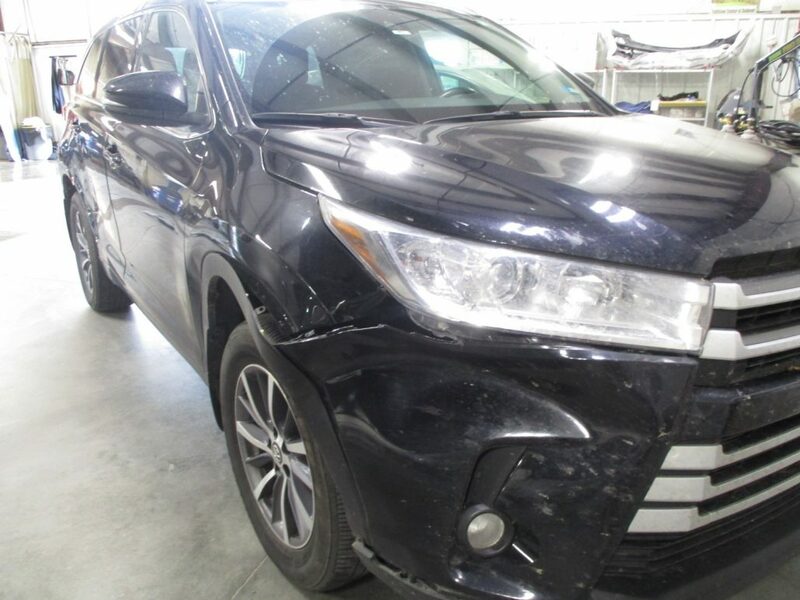 With 33 total repairs, including the replacement of five parts, Jonathan’s vehicle looked good as new in just eight days, thanks to the team at Collision Center of Andover. 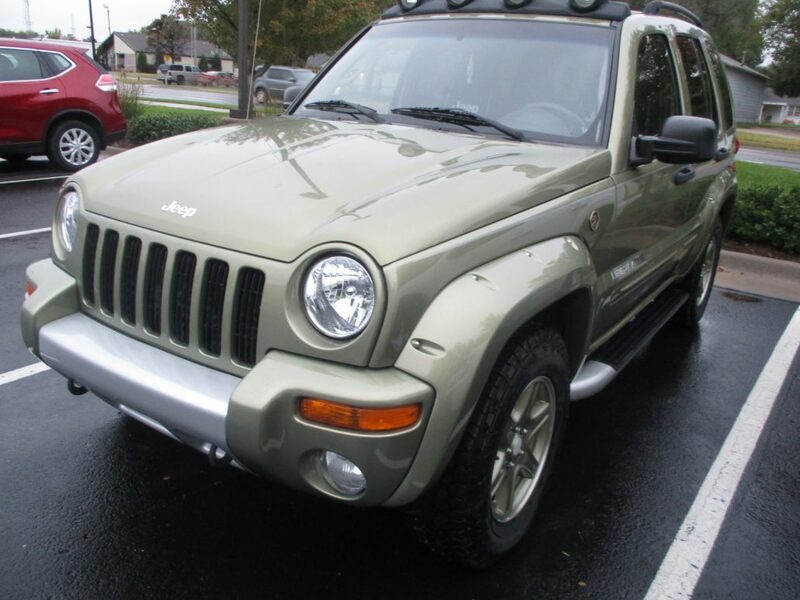 In just three days after dropping it off at Collision Center of Andover, Brittany had her 2008 Jeep Liberty back, and it looked great! 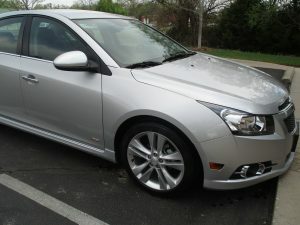 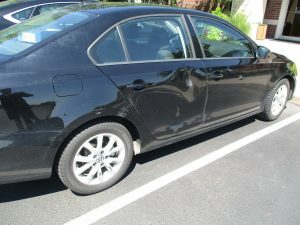 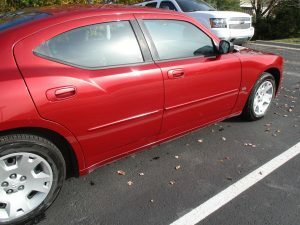 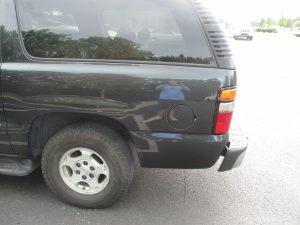 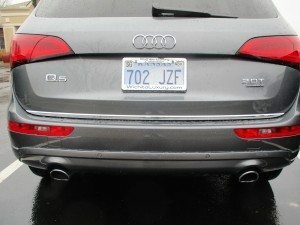 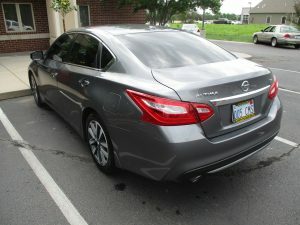 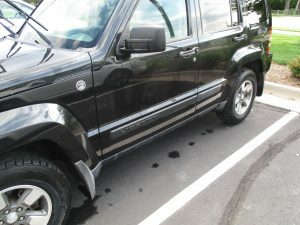 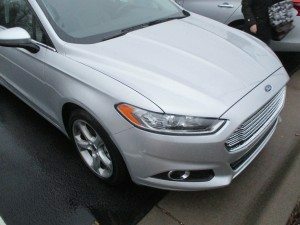 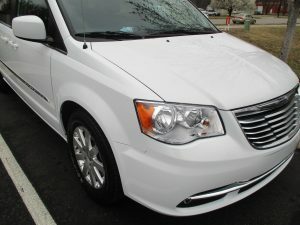 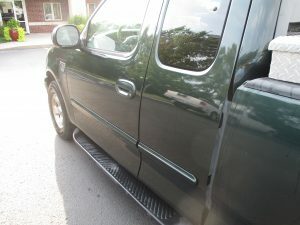 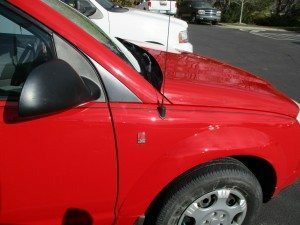 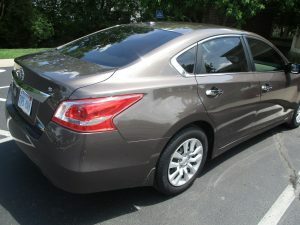 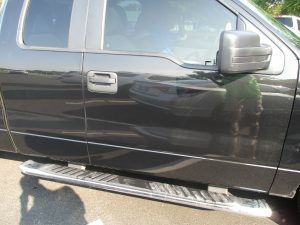 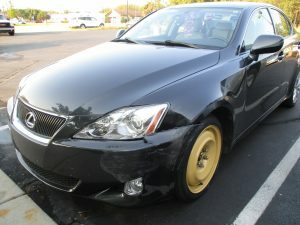 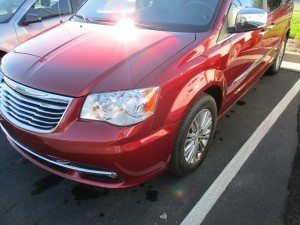 After receiving damage to the front driver’s side door, the vehicle required replacement left and right washer nozzles, left fender, fender line, wheel flare rivet and more. 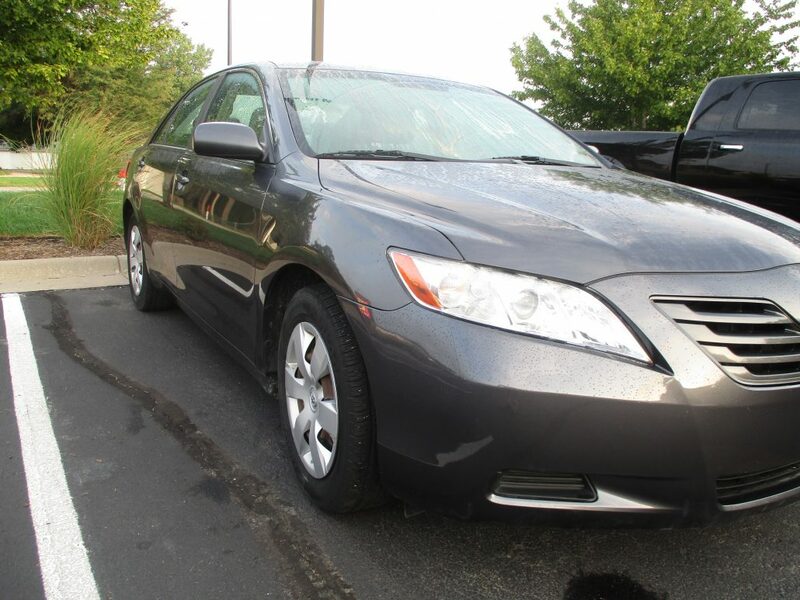 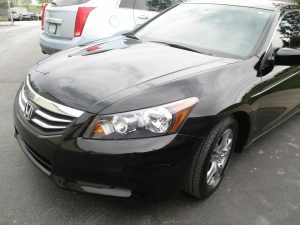 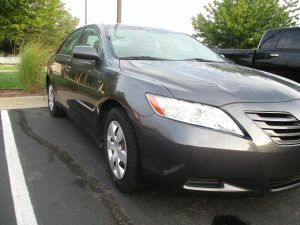 Edna’s 2007 Toyota Camry was a super simple fix for the skilled team at Collision Center of Andover. 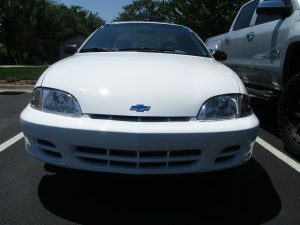 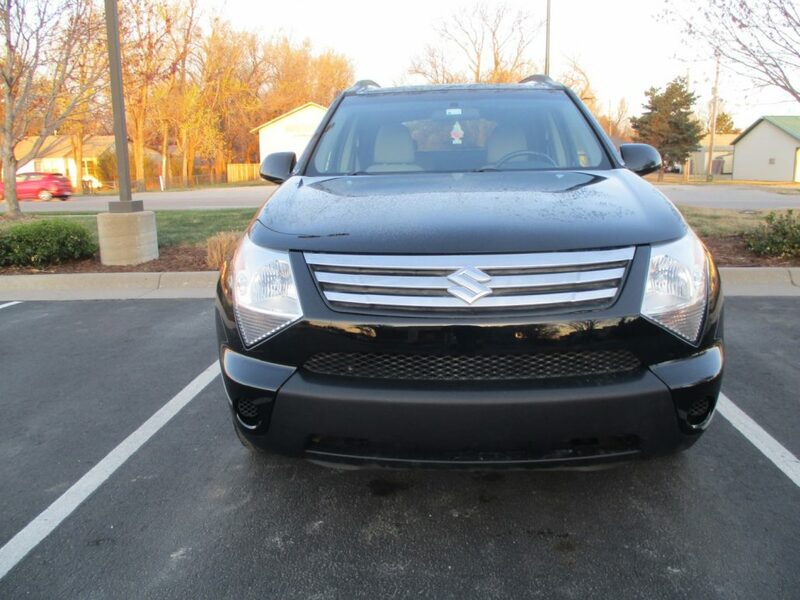 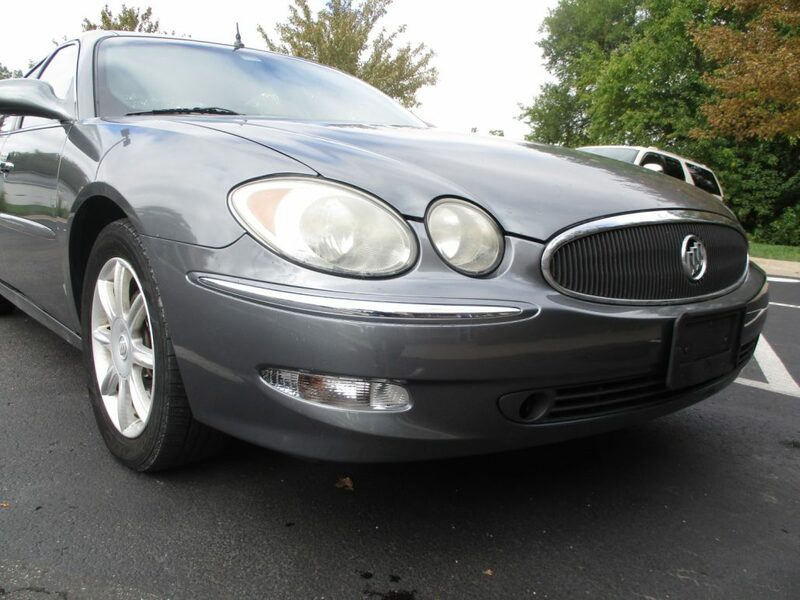 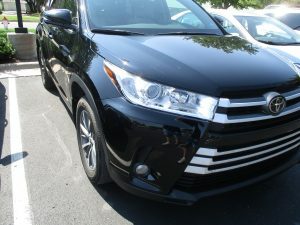 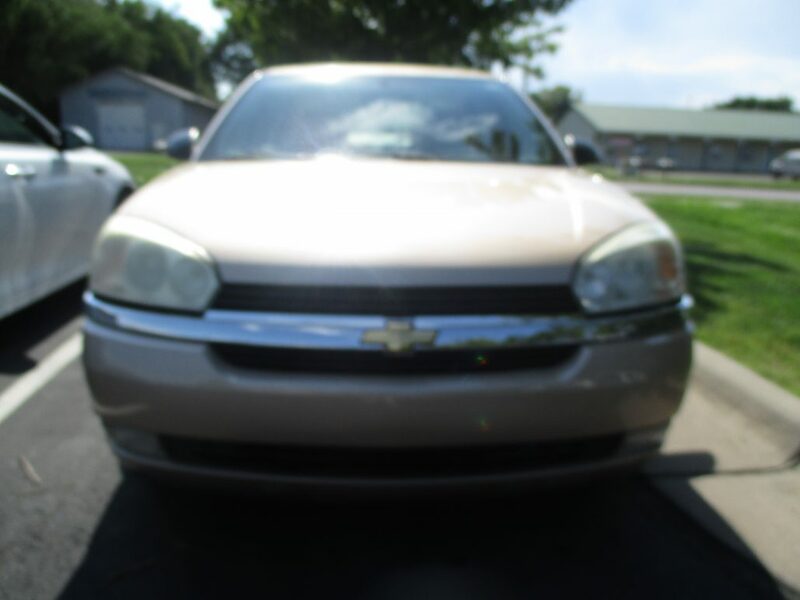 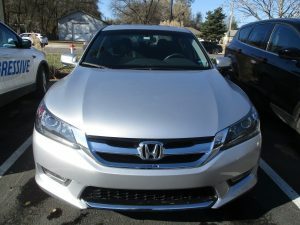 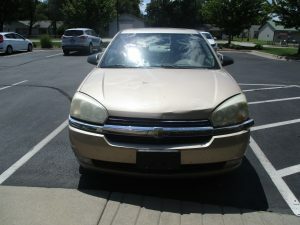 After replacing the front bumper and polishing the right headlight, the vehicle was repaired in like-new condition the next day. 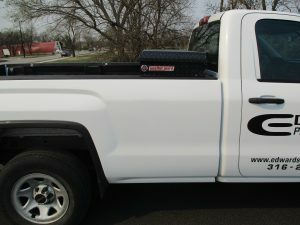 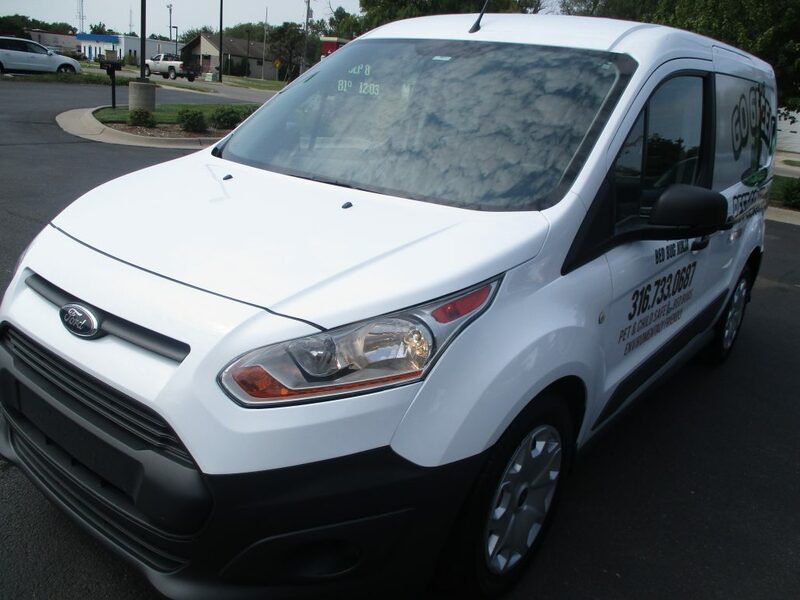 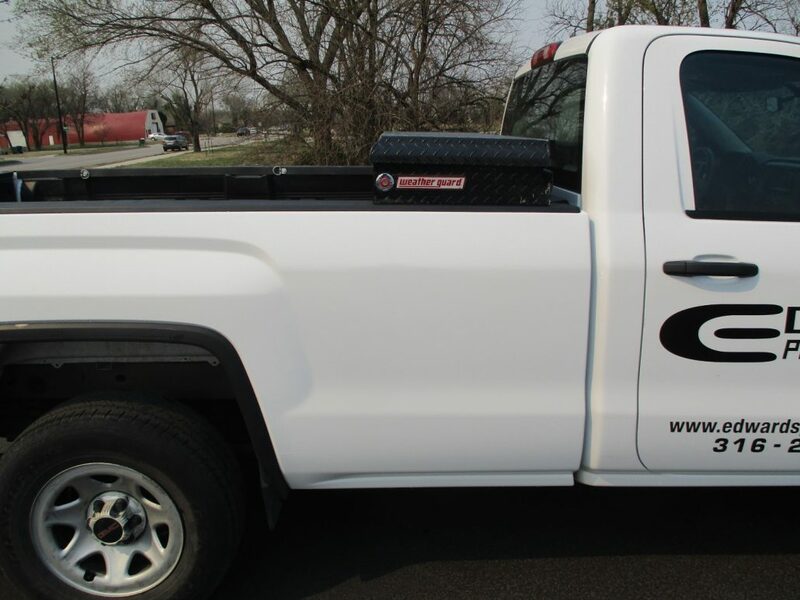 When a fleet vehicle for Andover’s Go Green Pest Control Services needed repair, it was taken to trustworthy team at Collision Center of Andover. 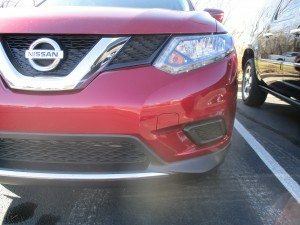 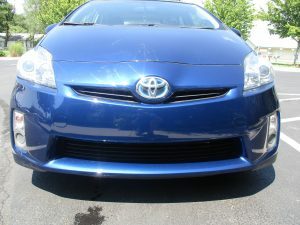 It required a headlamp replacement and repair to the upper and lower front bumper cover, left and right sides of the front fender, hood, and grille. 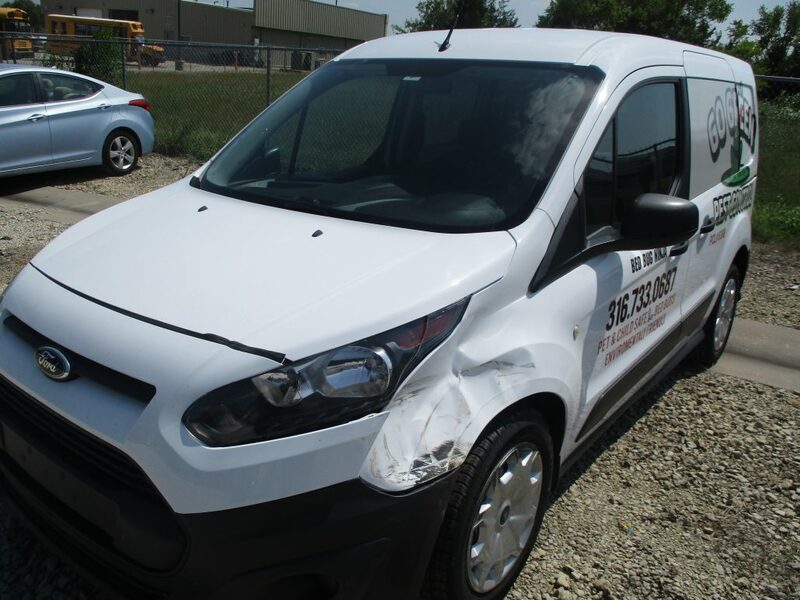 The repairs were completed and the vehicle was ready for pickup in just three days. 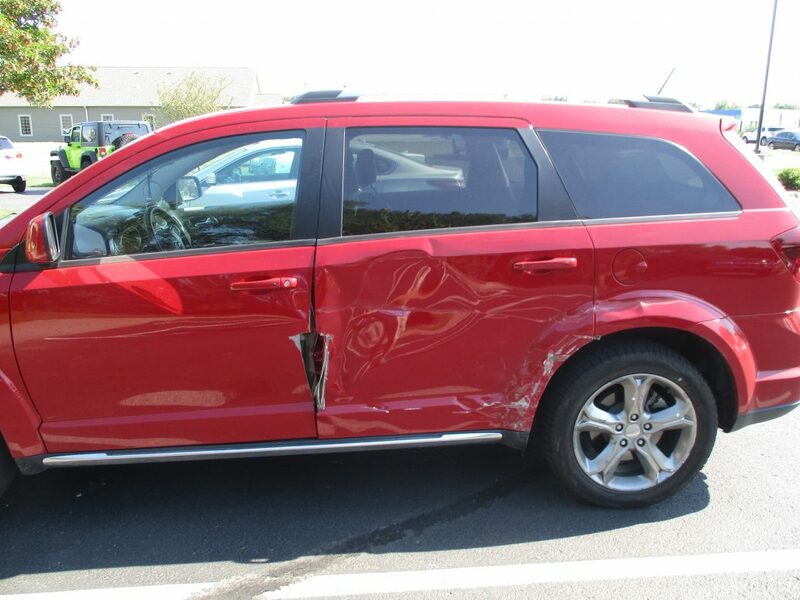 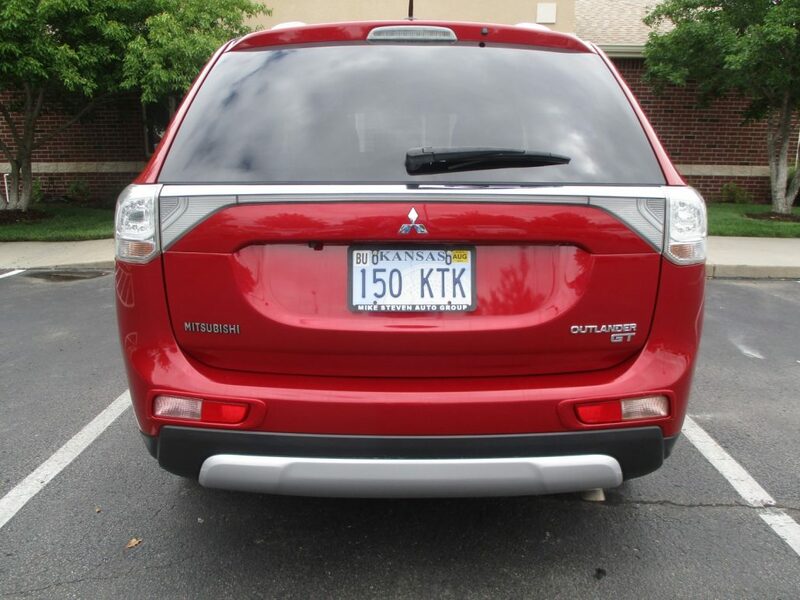 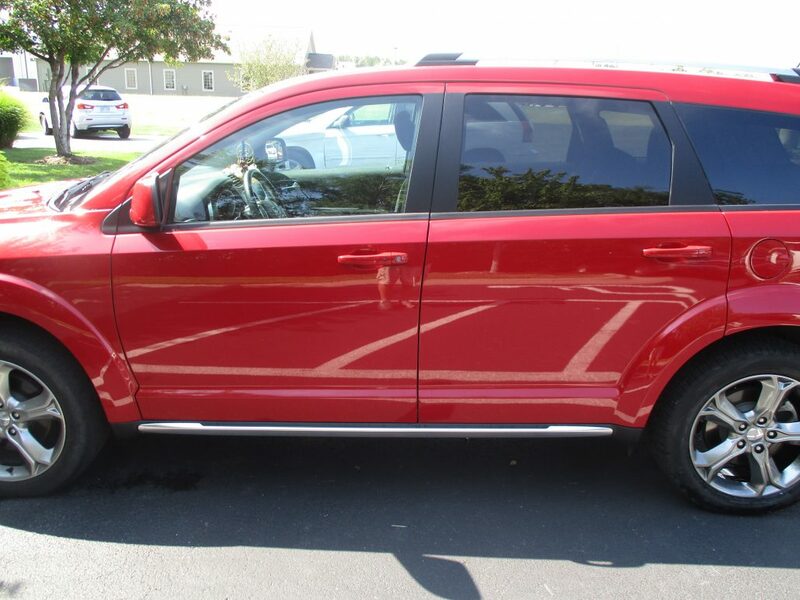 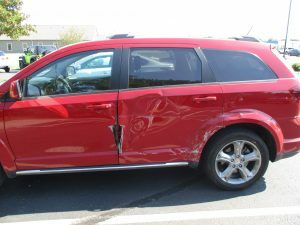 The Damage to Debra’s 2016 Dodge Journey Crossroad required the replacement of over a dozen parts, including the upper and lower hinges on the left side, left door shell, stone guard, glass kit, front and rear decals and more. 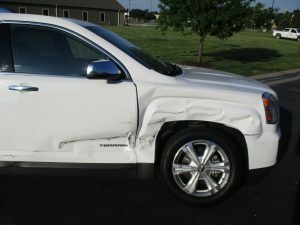 After her accident in El Dorado, Debra chose to take her vehicle to Collision Center of Andover, where it was ready for pickup in nine days. 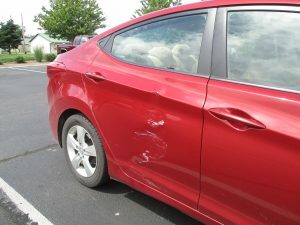 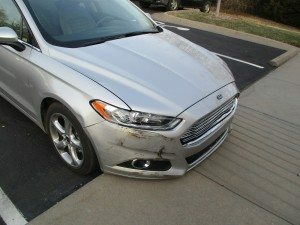 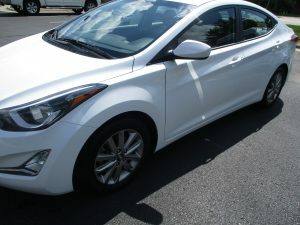 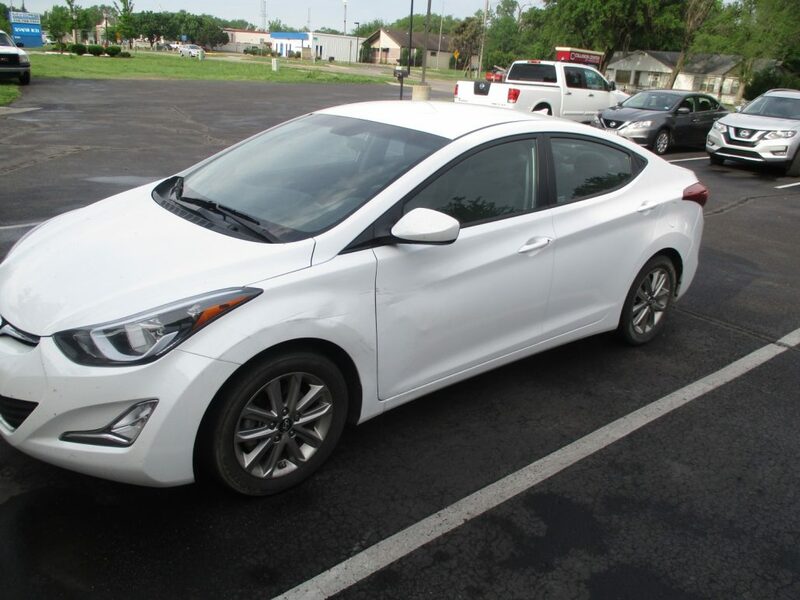 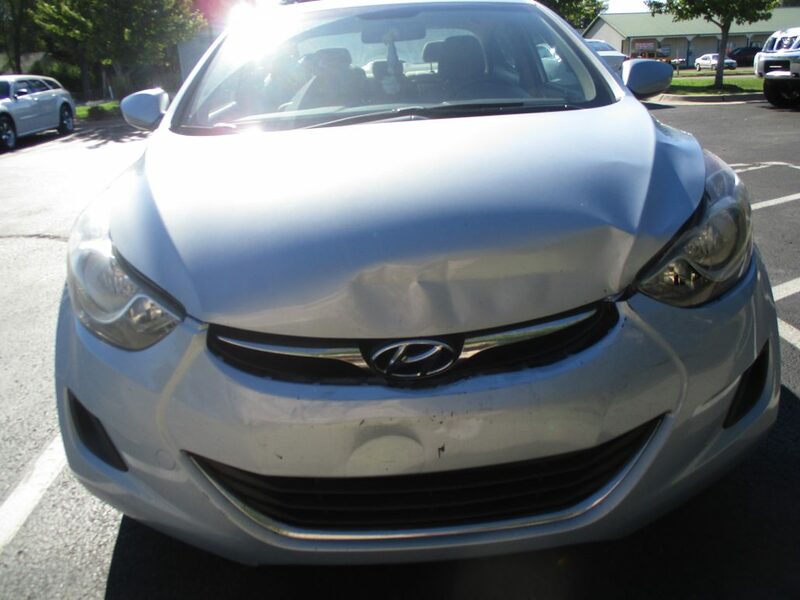 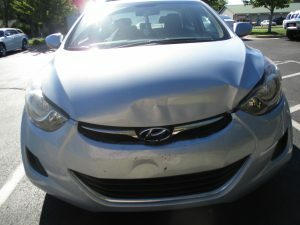 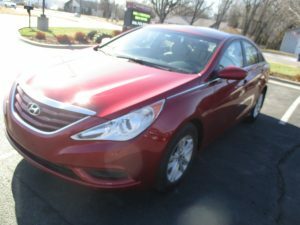 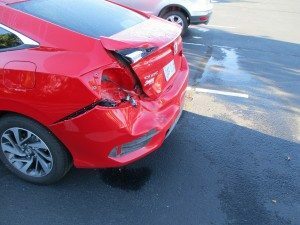 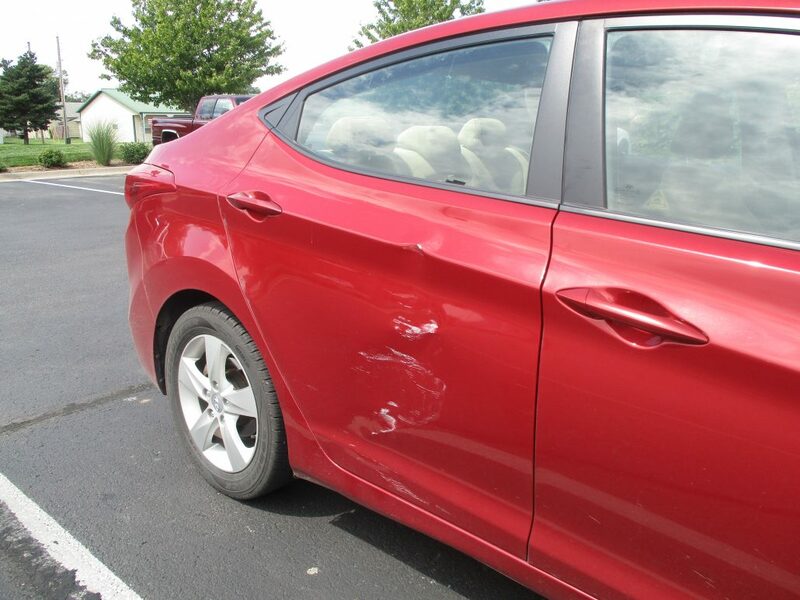 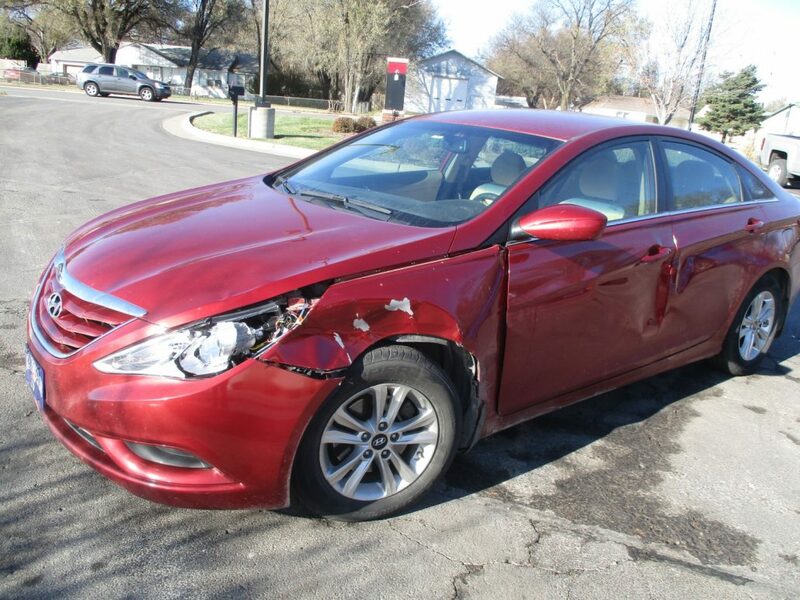 After receiving extensive front-end damage in a collision in Wichita, Ciera brought her 2011 Hyundai Elantra to Collision Center of Andover for repair. 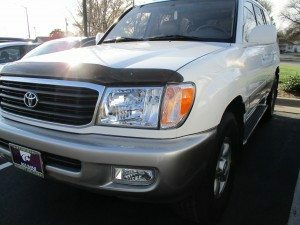 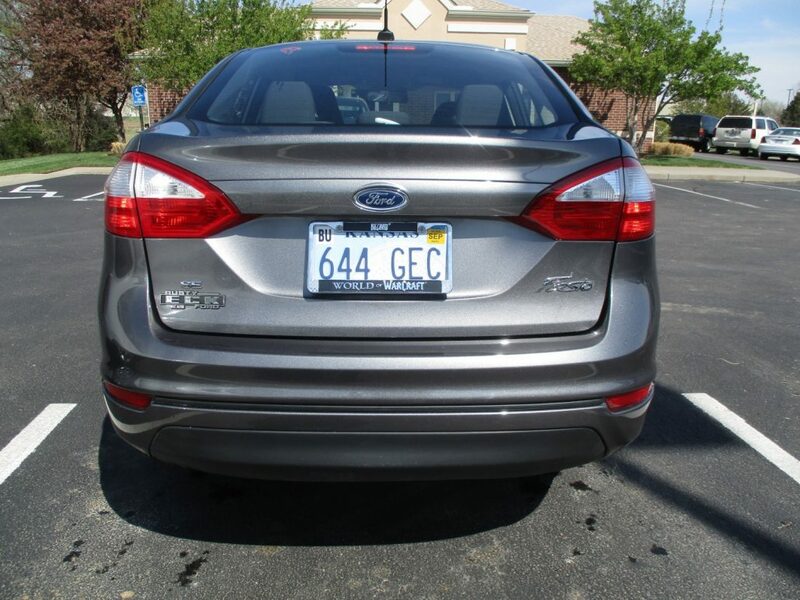 After the removal and replacement of 13 parts, including both headlamps, the grille, front shield, radiator support and more, her vehicle was ready for pickup in just 10 days. 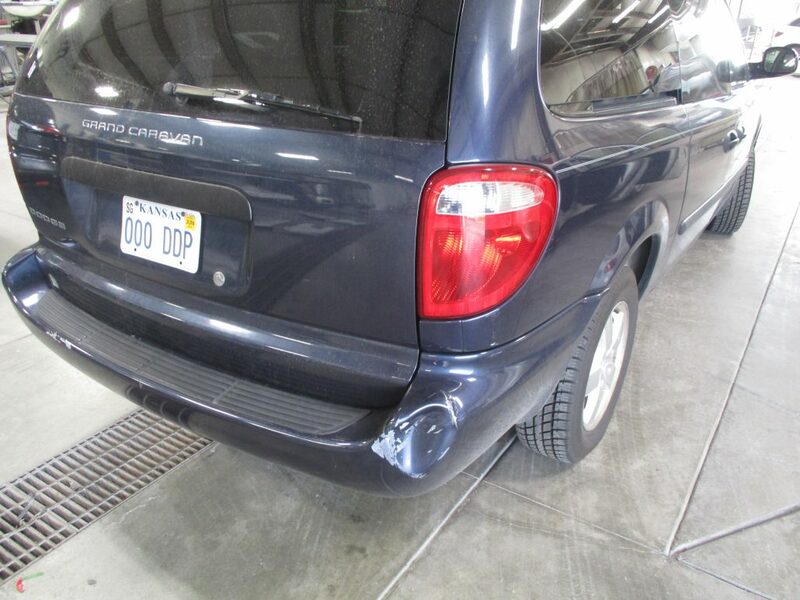 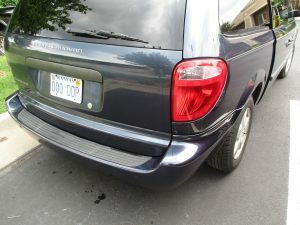 Chad’s damaged 2007 Dodge Grand Caravan was a simple fix for the Collision Center of Andover team. 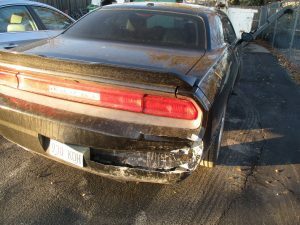 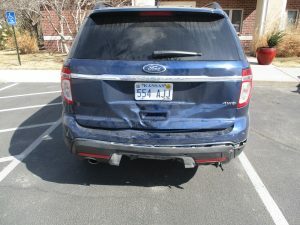 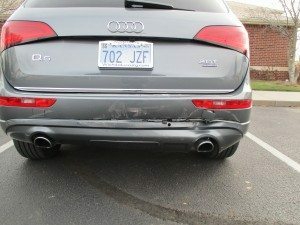 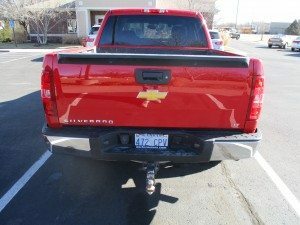 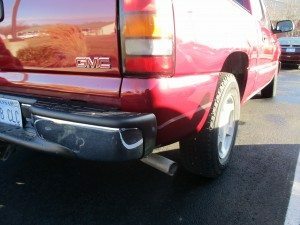 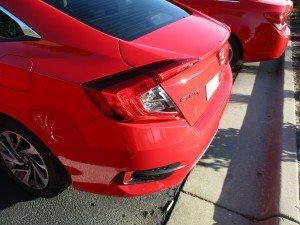 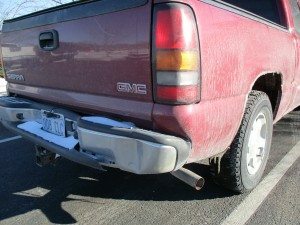 Requiring repairs to the rear bumper and bumper cover, this vehicle was picked up only one day after it arrived in the shop. 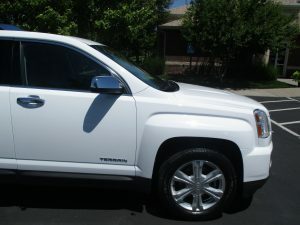 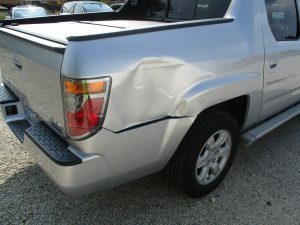 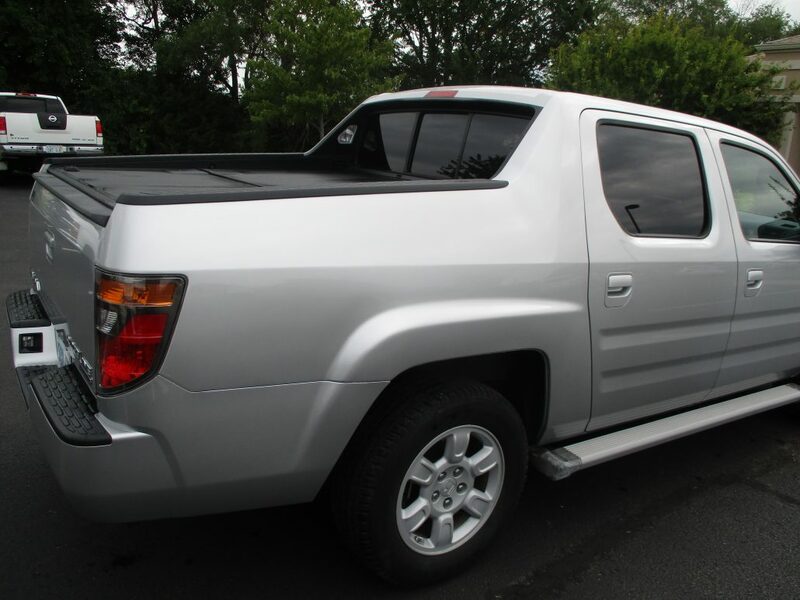 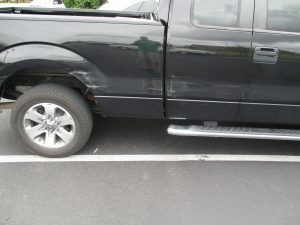 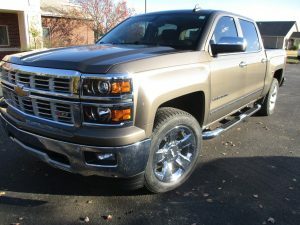 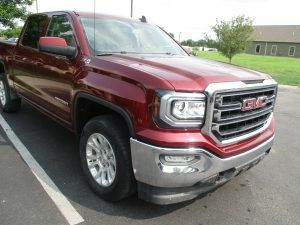 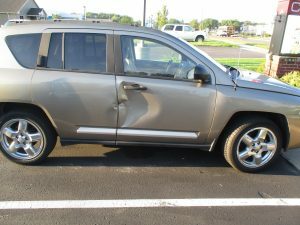 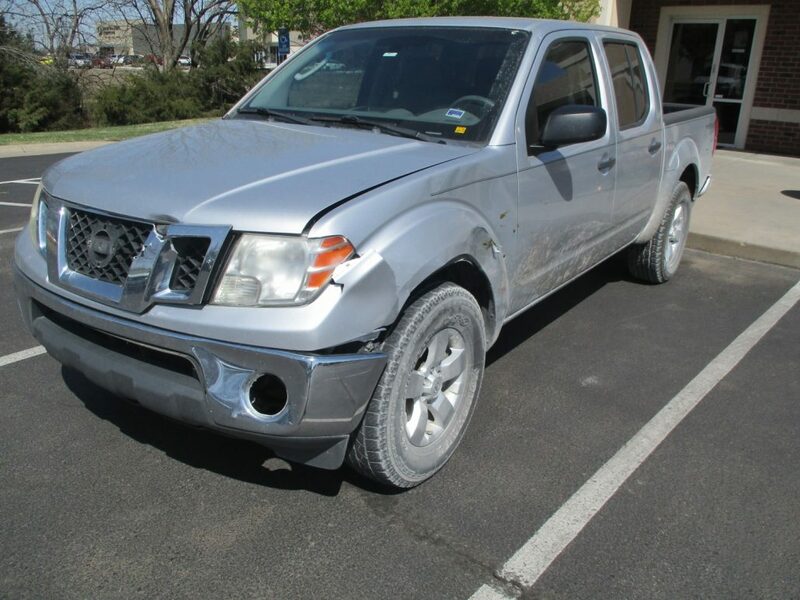 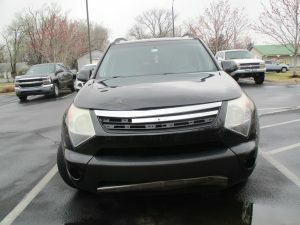 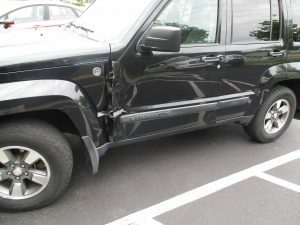 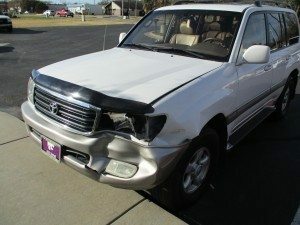 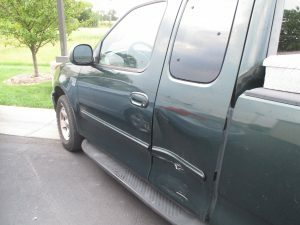 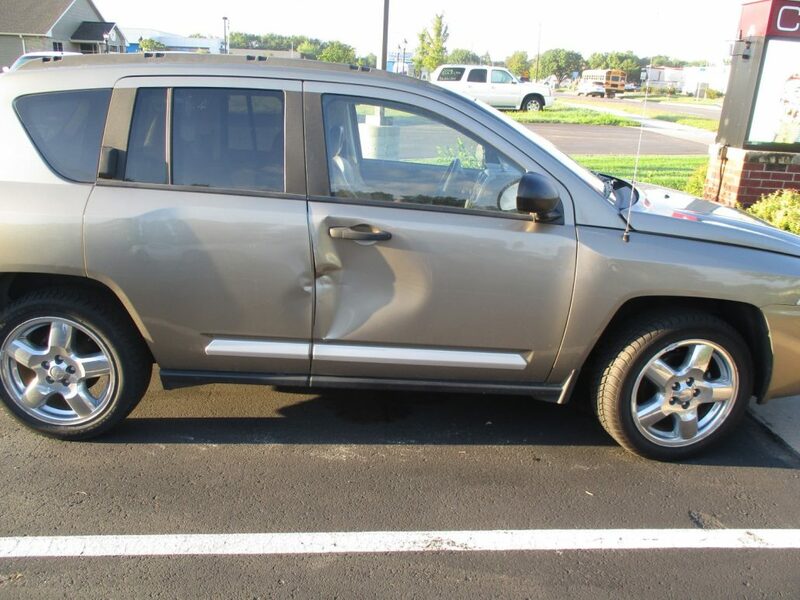 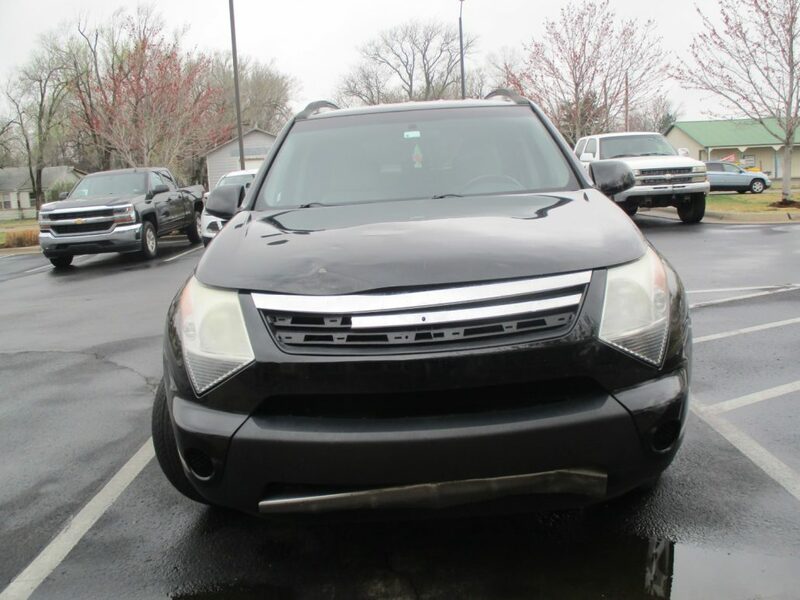 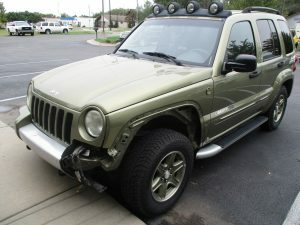 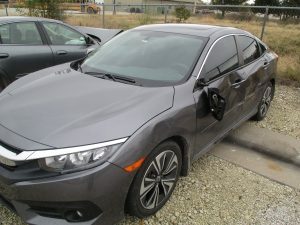 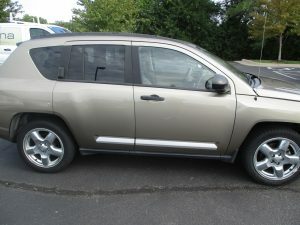 James’s 2006 Honda Ridgeline incurred damage In Wichita after a collision. 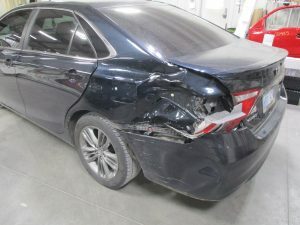 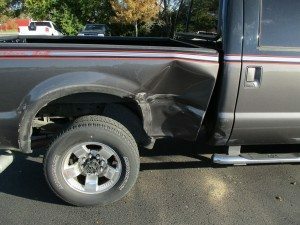 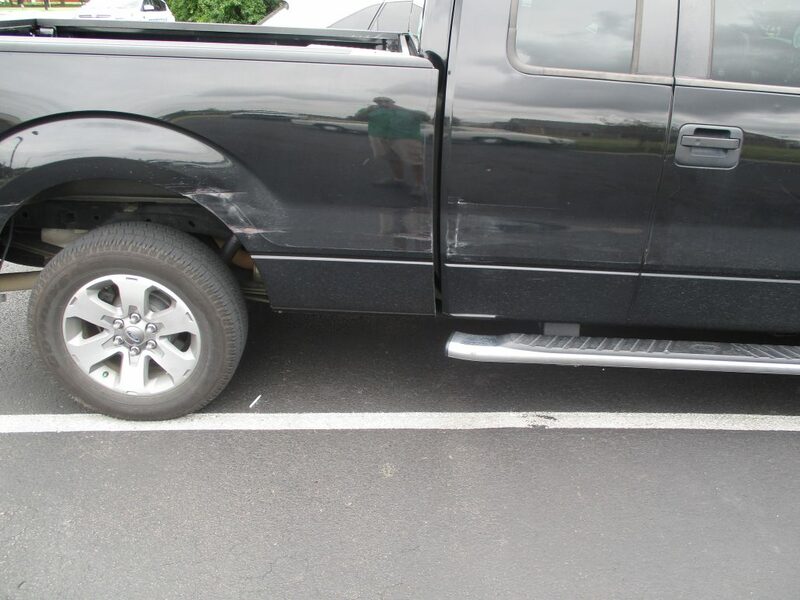 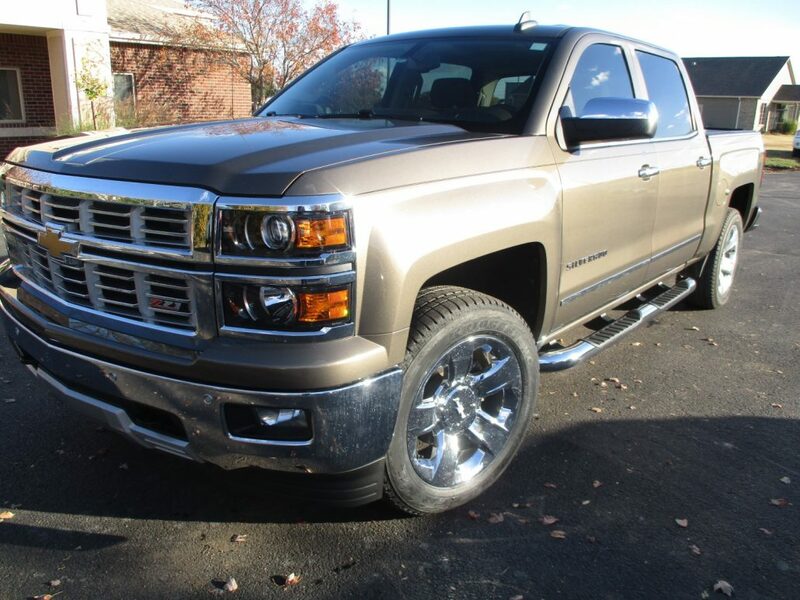 With damage on the right side to the quarter panel, wheelhouse, outer door body, inner door trim, and rear bumper cover, James knew that Collision Center was the place to go. His vehicle was ready in 11 days! 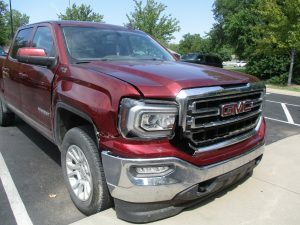 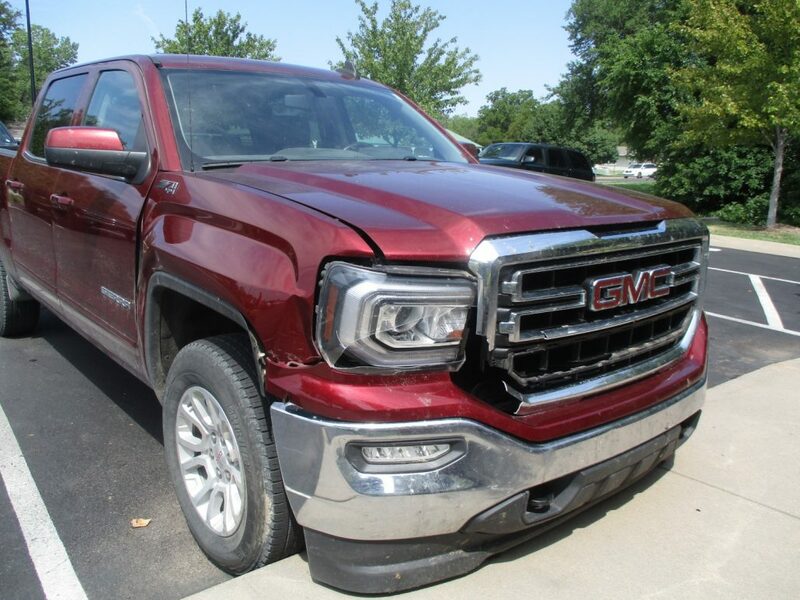 Karen, of Andover, KS, was involved in a collision that resulted in significant damage to the front and rear suspension on the right side of her 2016 GMC Terrain. Both tires and both wheels on the right side of the vehicle were in need of repair, and there was definite unibody damage. Despite the whopping 134 parts that needed replaced or repaired the outstanding team at Collision Center of Andover delivered the vehicle, looking as good as new, within three weeks. 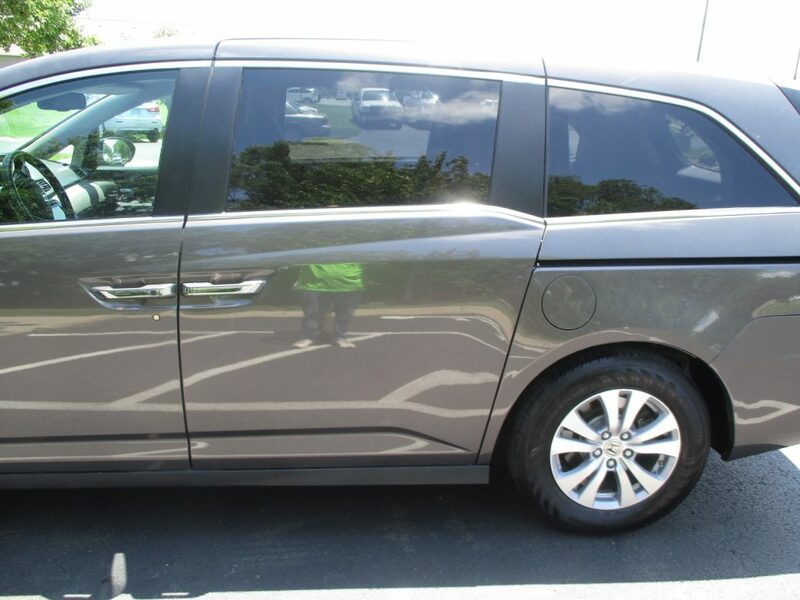 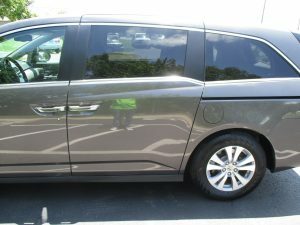 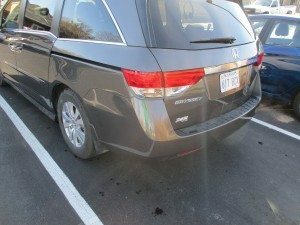 Peter brought his 2011 Honda Odyssey to Collision Center of Andover after a collision in Wichita, KS, left his vehicle in need of repair. 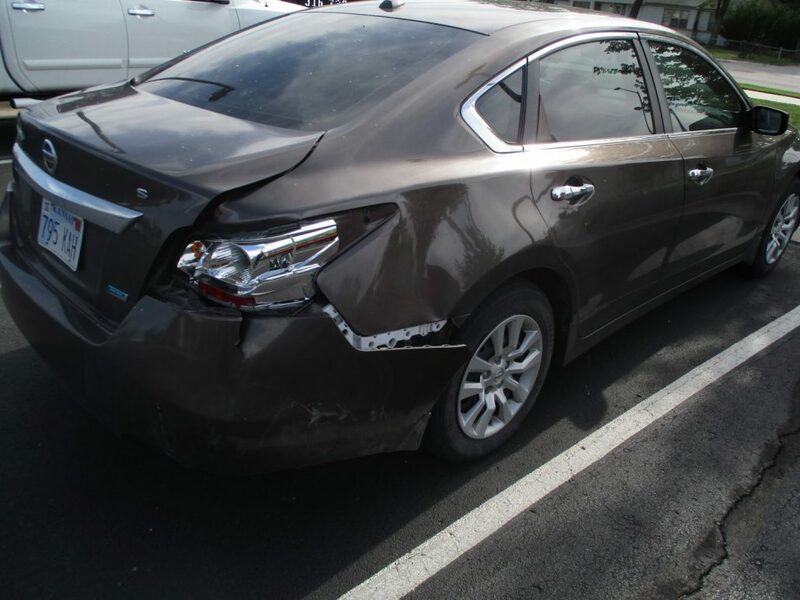 Our team was able to complete the repairs in a matter of six days, replacing the driver’s side door shell and belt molding and repairing several other damaged parts. 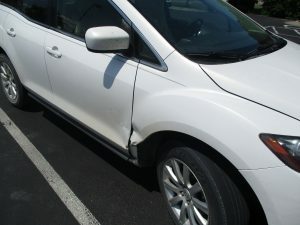 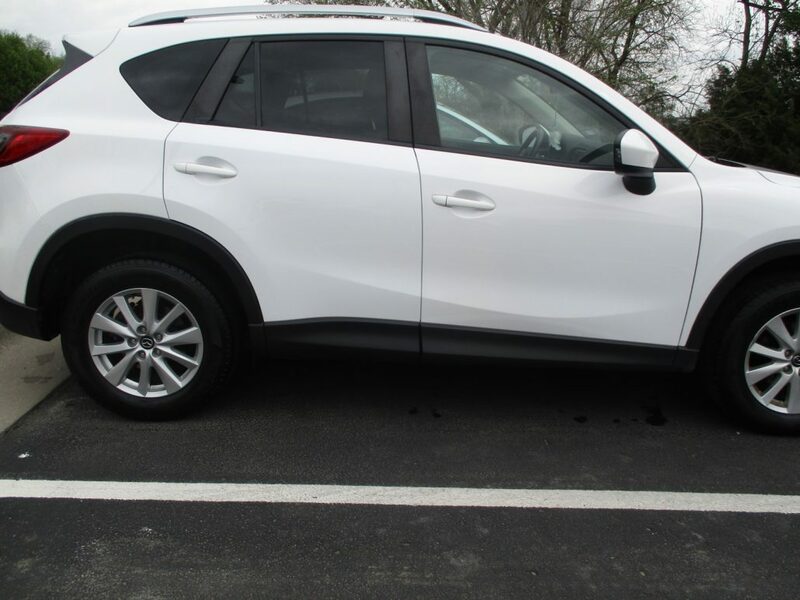 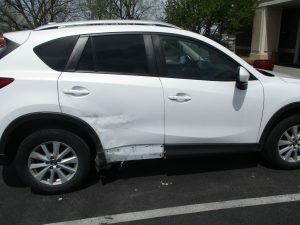 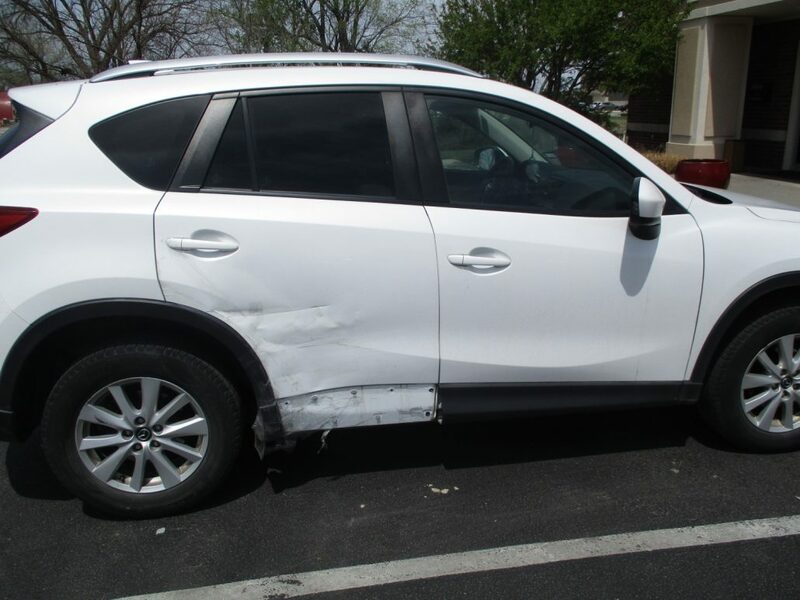 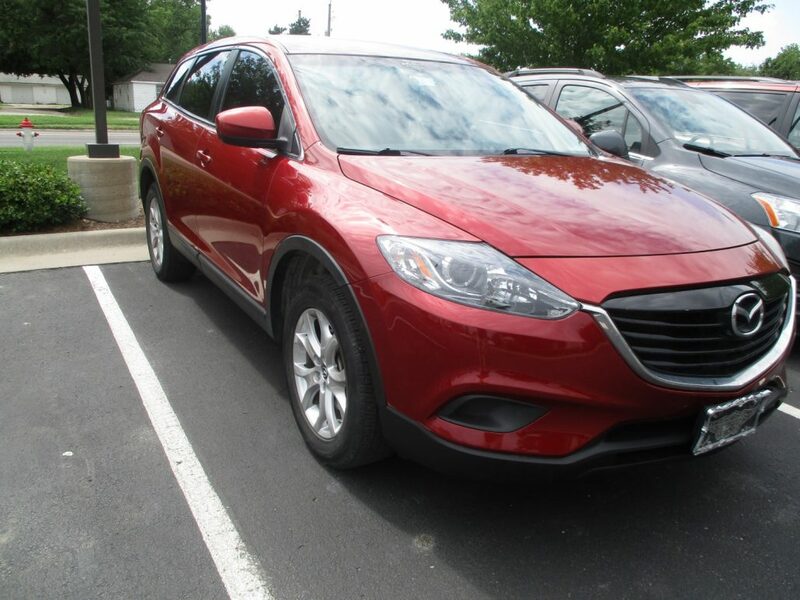 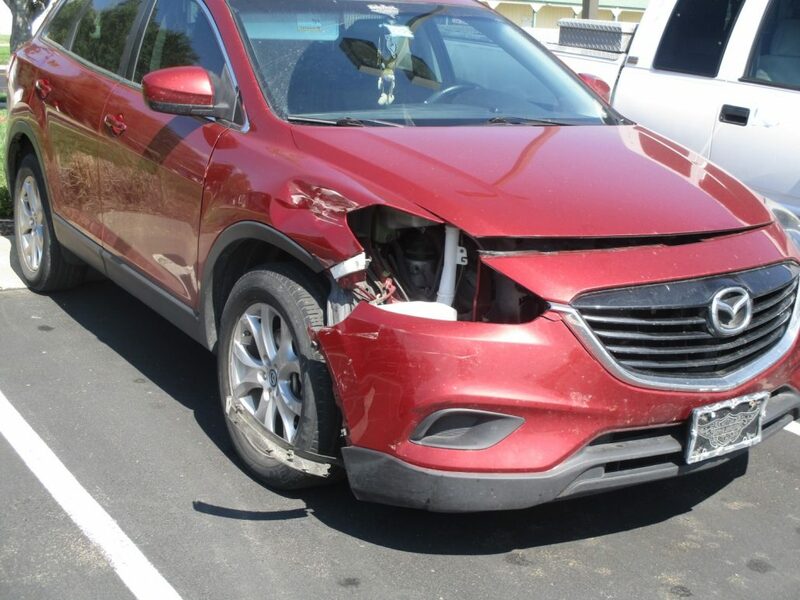 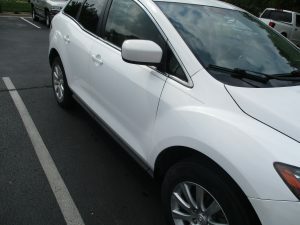 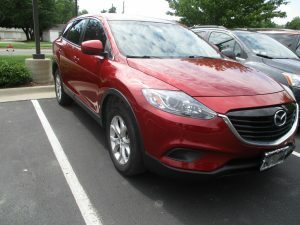 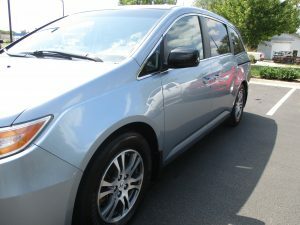 Mary brought her 2012 Mazda CX-7 to Collision Center of Andover after it was damaged in Benton, Kansas. The vehicle needed work on the front fender, door assembly, door shell, wheel alloy repair and more. 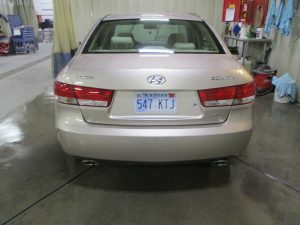 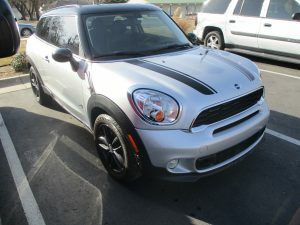 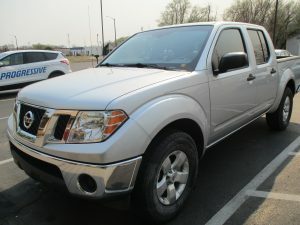 In just one week, the team at Collision Center of Andover had her repairs complete and her vehicle ready to go. 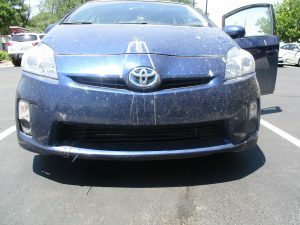 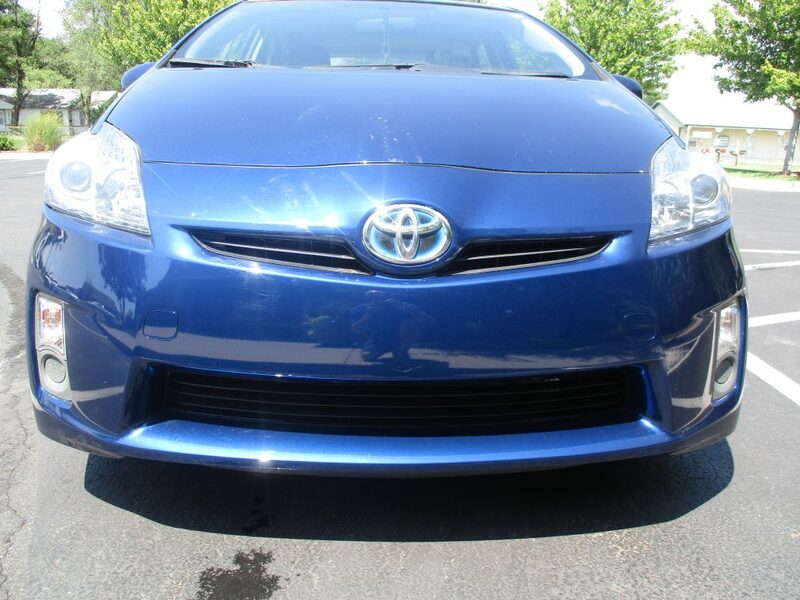 Collision Center of Andover worked with Gregory to repair his 2010 Toyota Prius after it was involved in a collision. 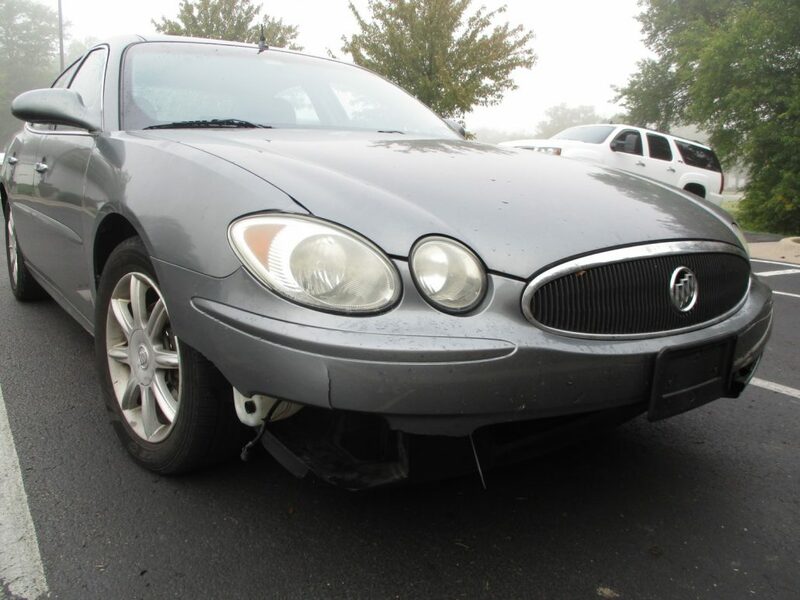 With damage to the front bumper, both headlamps, lower tie bar, and more, the vehicle took six days to repair and return. 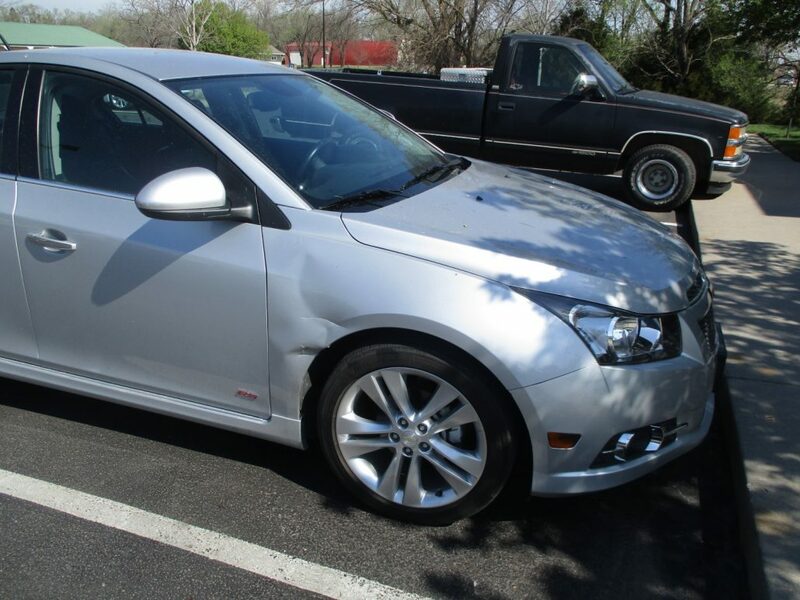 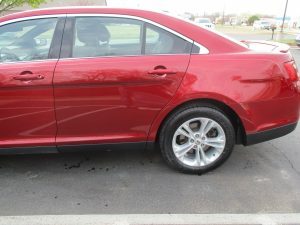 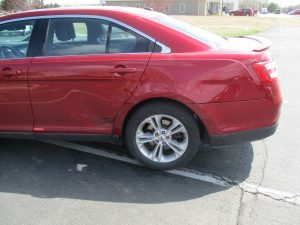 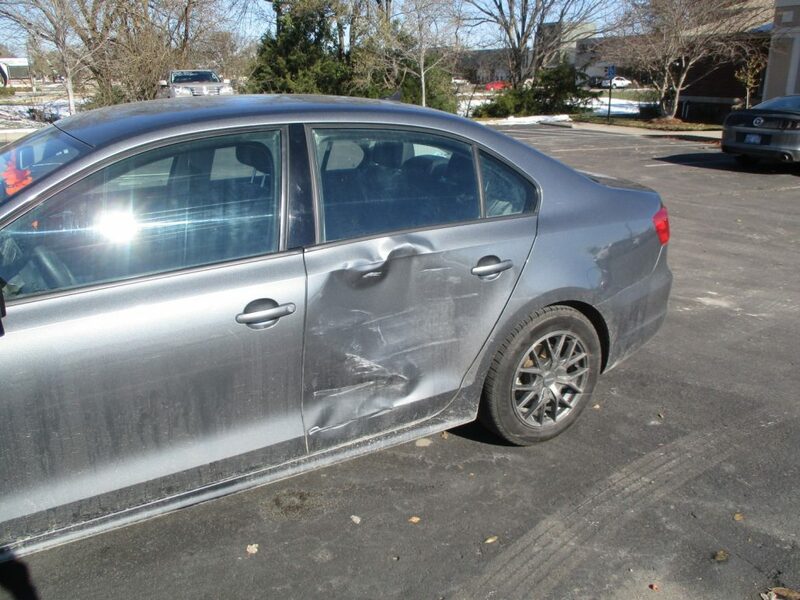 When John’s 2015 Volkswagen Jetta was hit in Wichita, it needed repair to the front bumper cover, grille assembly, front fender, front door shell, and much more. 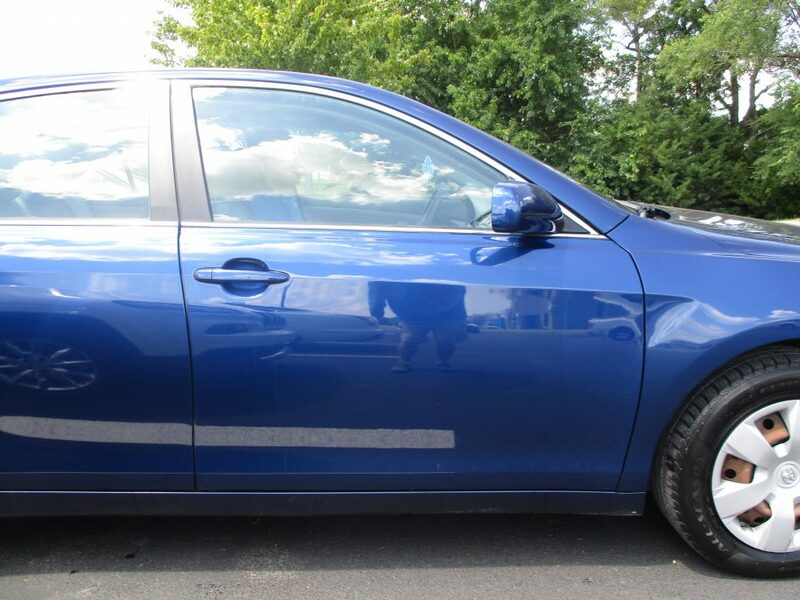 After a total of 33 repairs, including the replacement of the rear door assembly, John’s Jetta was ready for pickup in just over a week. 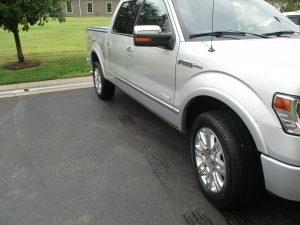 Larry brought his Ford F-150 to Collision Center of Andover after a collision that occurred just outside of Wichita. 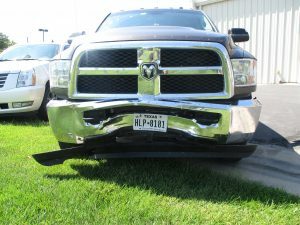 With damage on the front end, the truck needed repairs to the front bumper cover, headlamp, front fender, front door shell, and more. 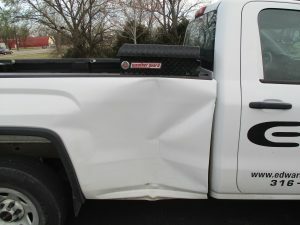 The team at Collision Center of Andover had the vehicle ready for pickup the next day. 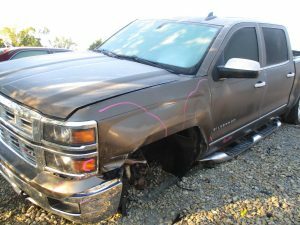 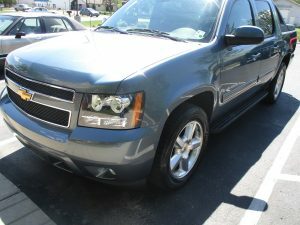 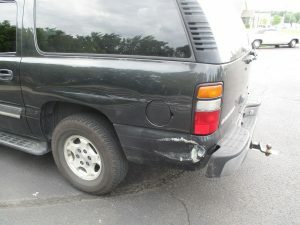 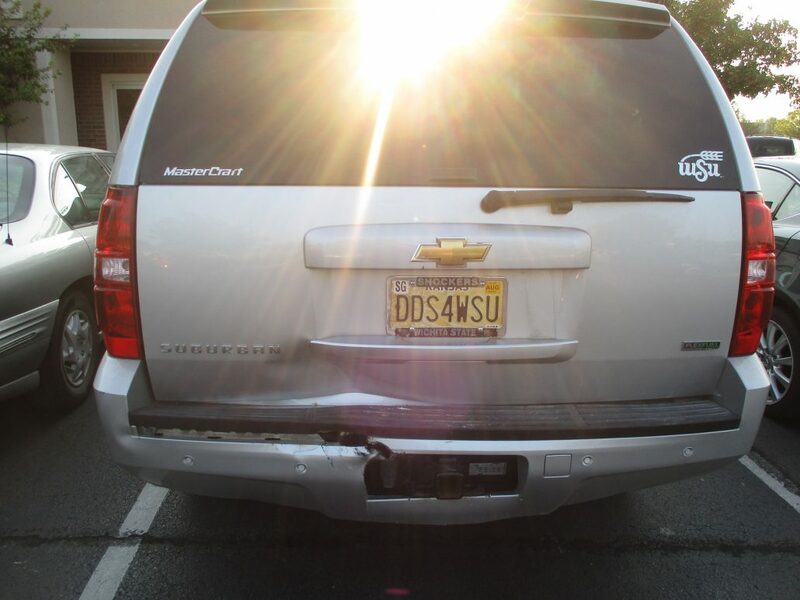 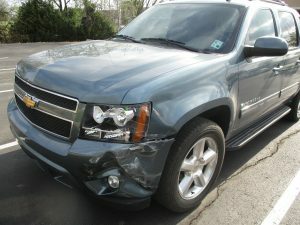 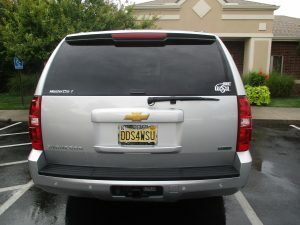 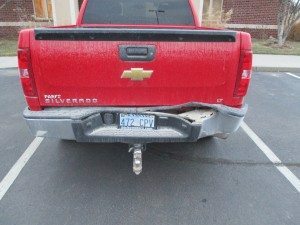 The damage to the rear of Ted’s Chevrolet Suburban required the replacement of 13 parts, and repairs to 35 more. 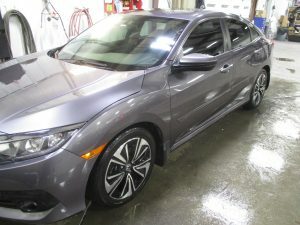 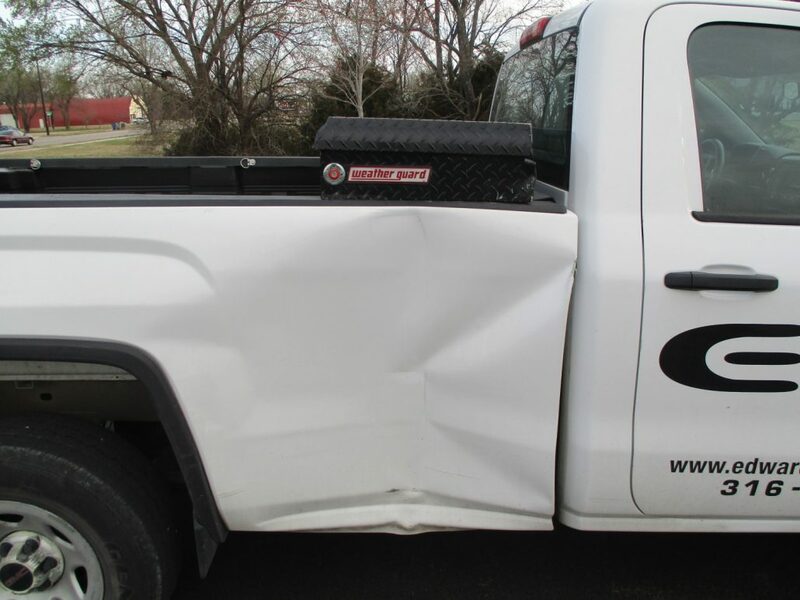 After completing the replacements and repairs, the team at Collision Center of Andover had the vehicle looking good as new in just three days. 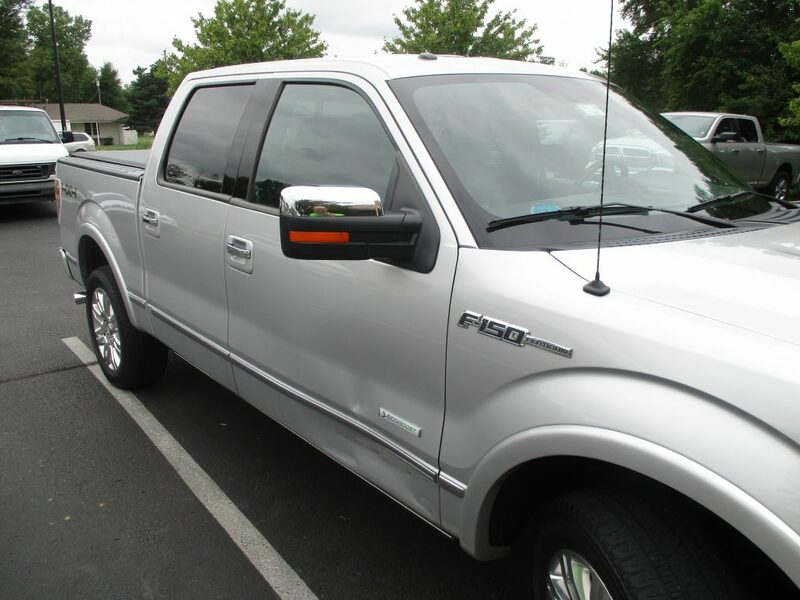 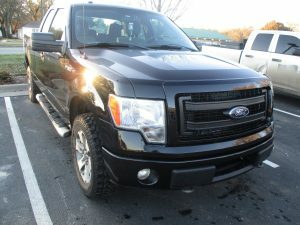 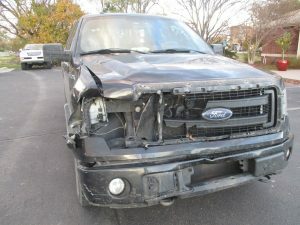 Grant was in need of repairs to his 2002 Ford F-150 after it was damaged in an Collision in Andover. In just two days, the team at Collision Center of Andover completed over 30 repairs, including the left side mirror, door handle, body side molding and much more. 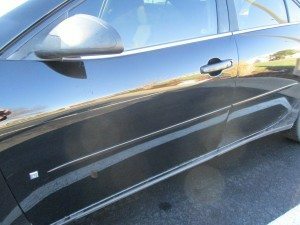 After replacing nine parts and repairing about 28 more, the team at Collision Center of Andover completed Michael’s 2004 Chevrolet Malibu. 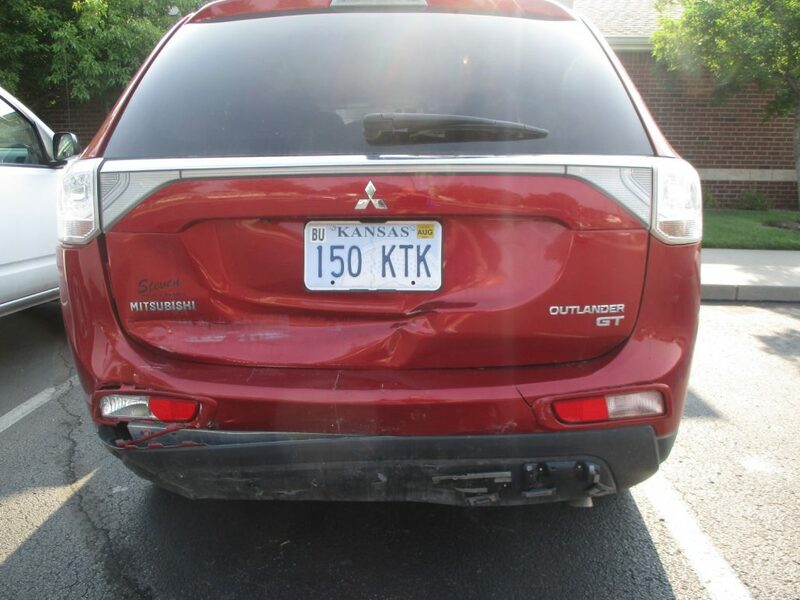 Less than two weeks after dropping off the vehicle, which had been damaged in Towanda, Kansas, Michael was driving it again. 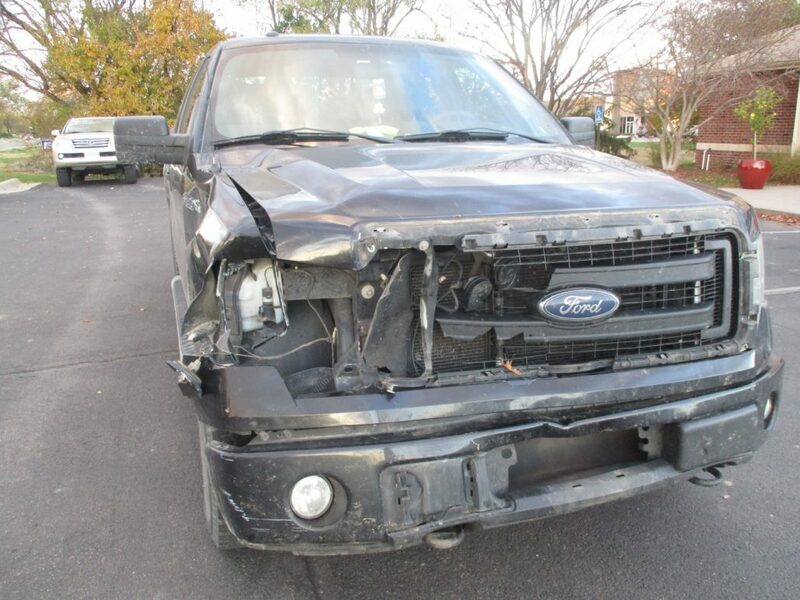 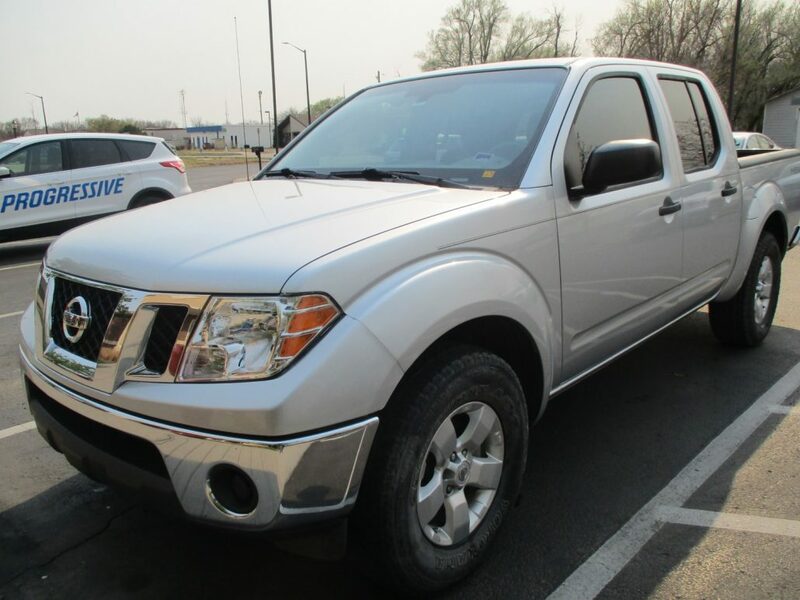 Justin was in Wichita, Kansas when he was involved in a collision that left his 2011 Ford F-150 in need of repair. 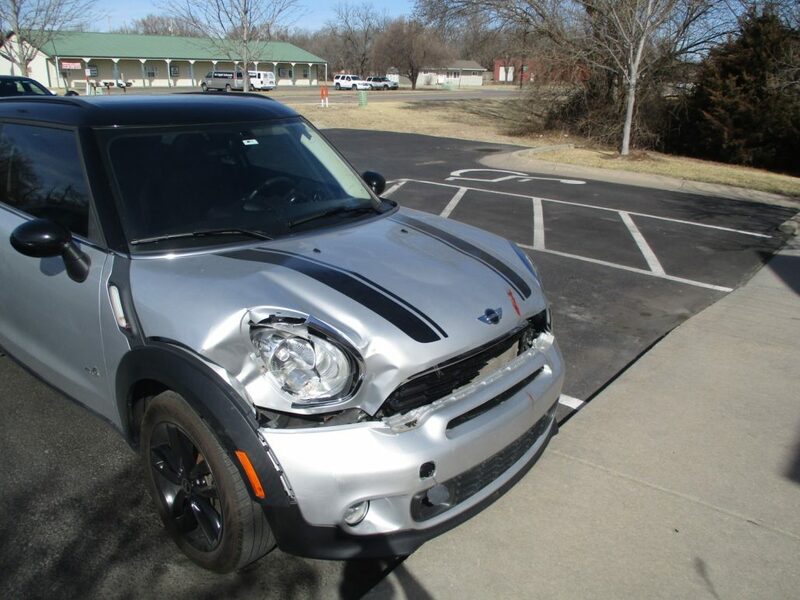 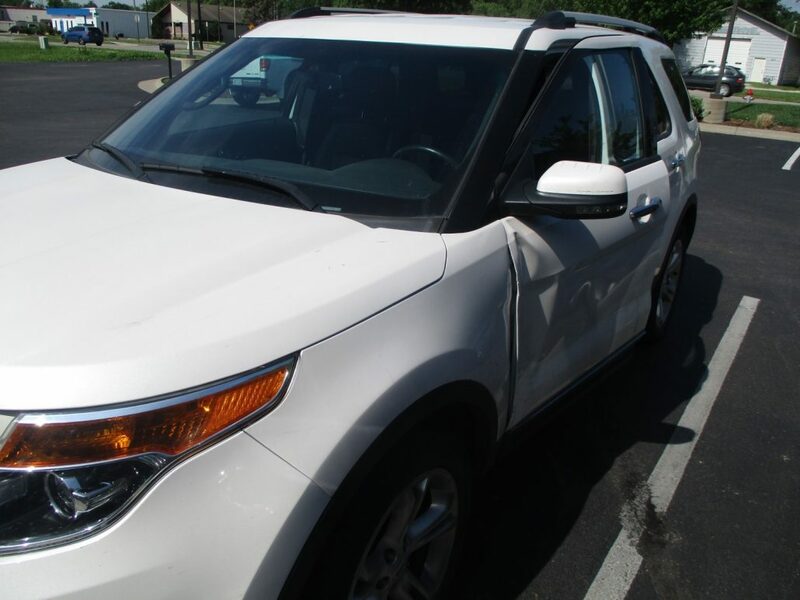 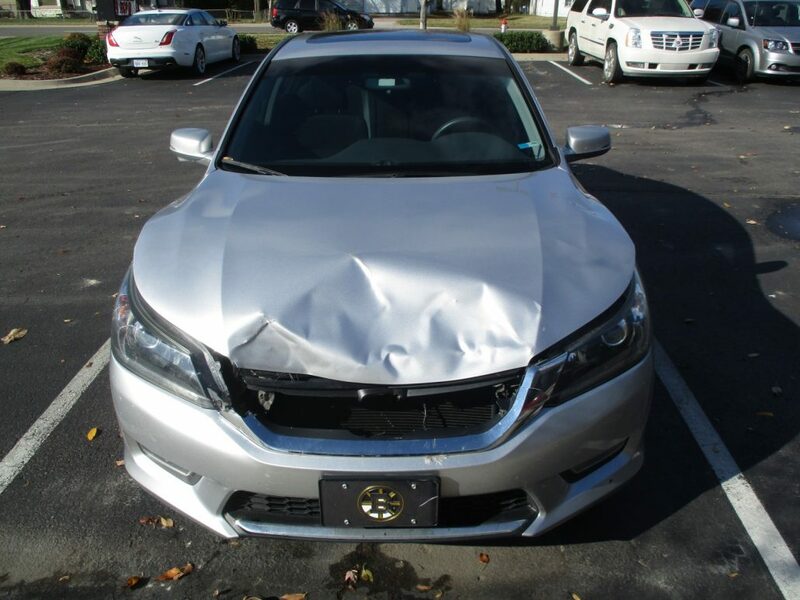 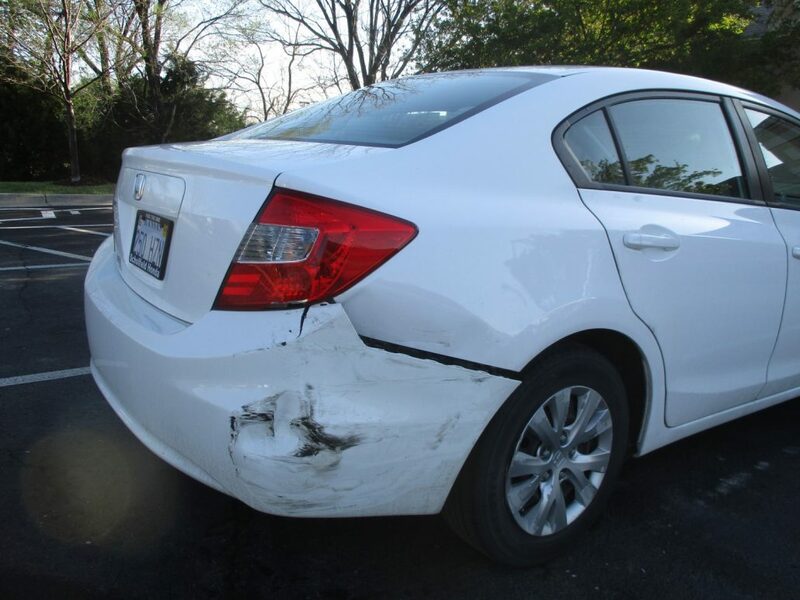 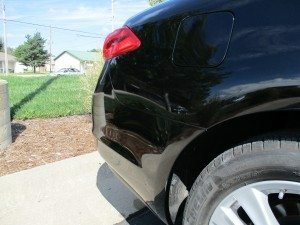 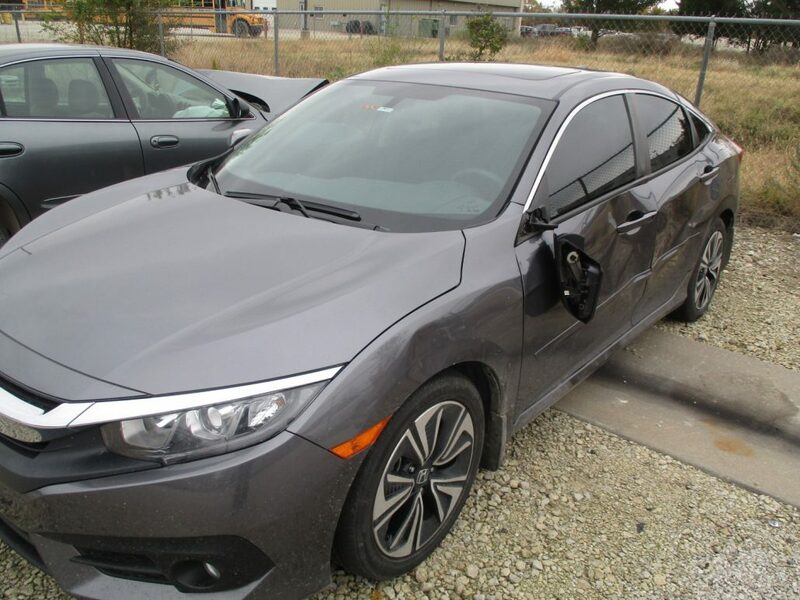 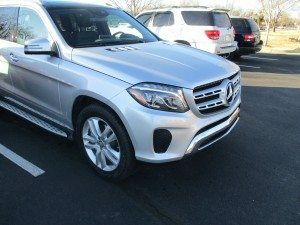 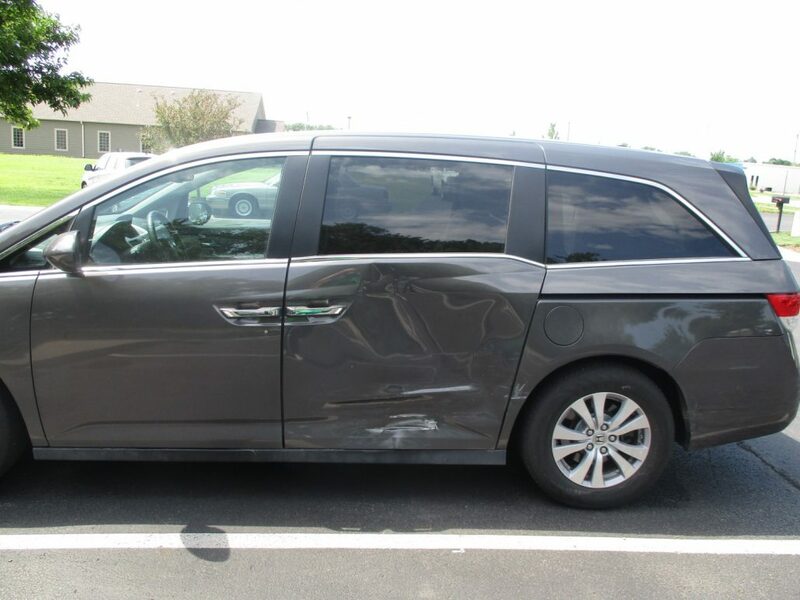 With damage to the passenger side requiring four part replacements and several other repairs, the vehicle’s repairs were completed in just four days, thanks to the outstanding professionals at Collision Center of Andover! 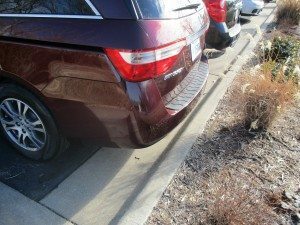 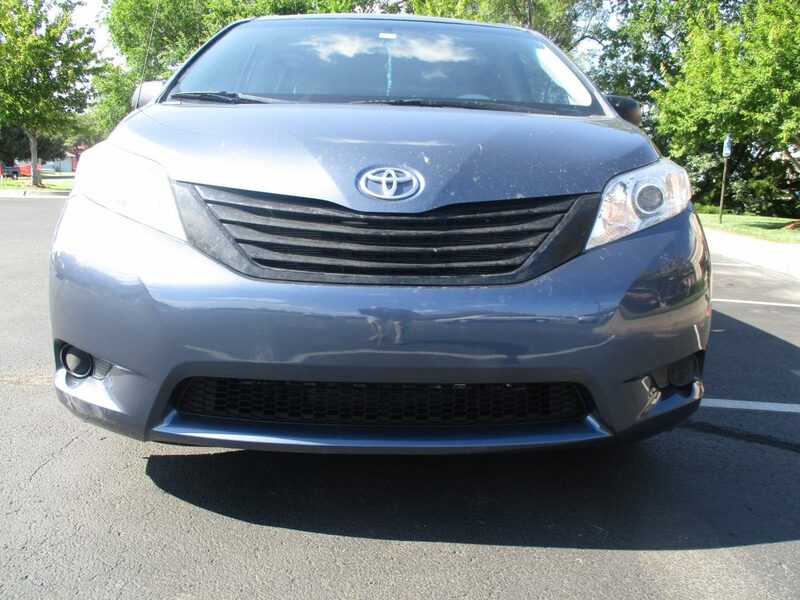 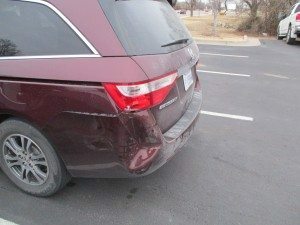 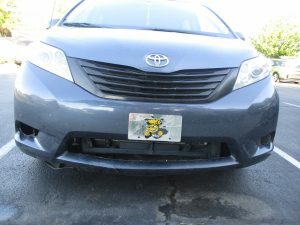 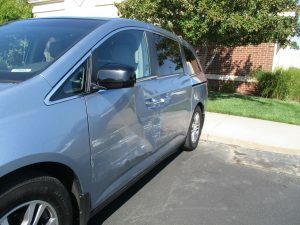 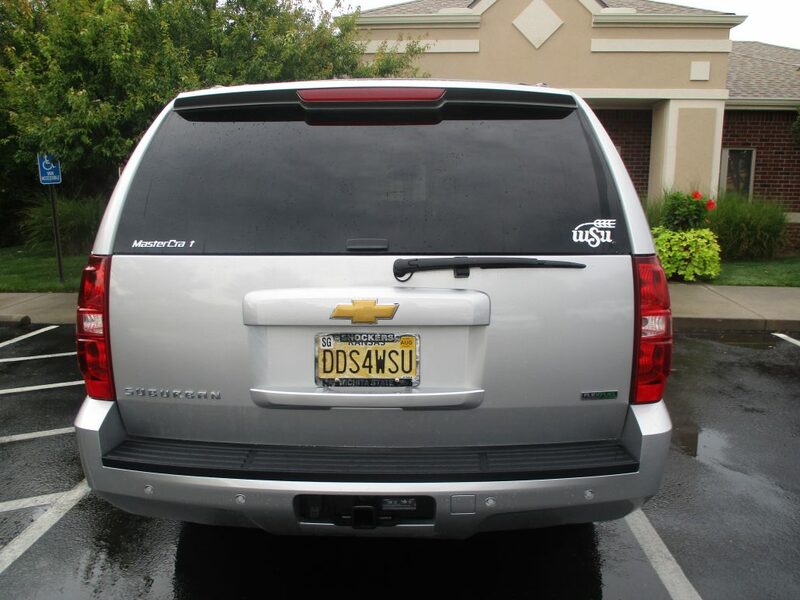 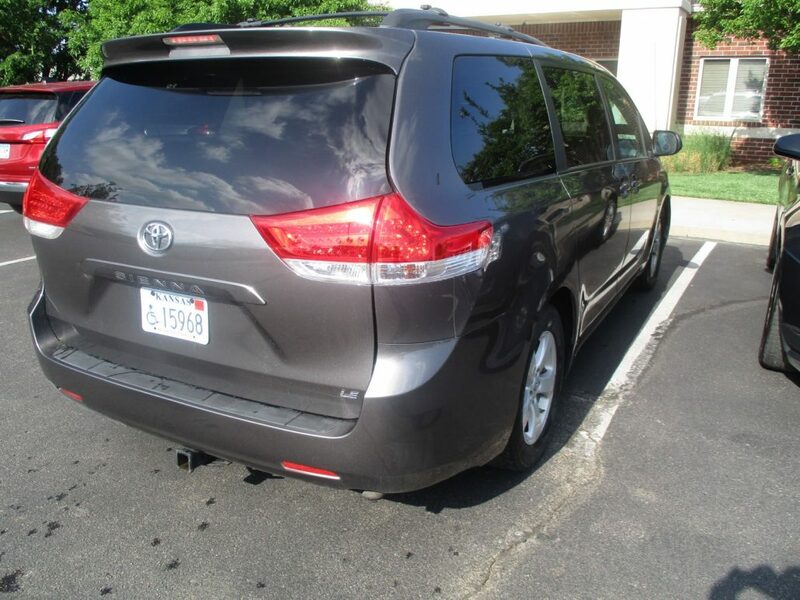 In just three days, the Collision Center of Andover team returned Robin’s 2014 Toyota Sienna after it incurred basic front-end damage in Benton, KS. 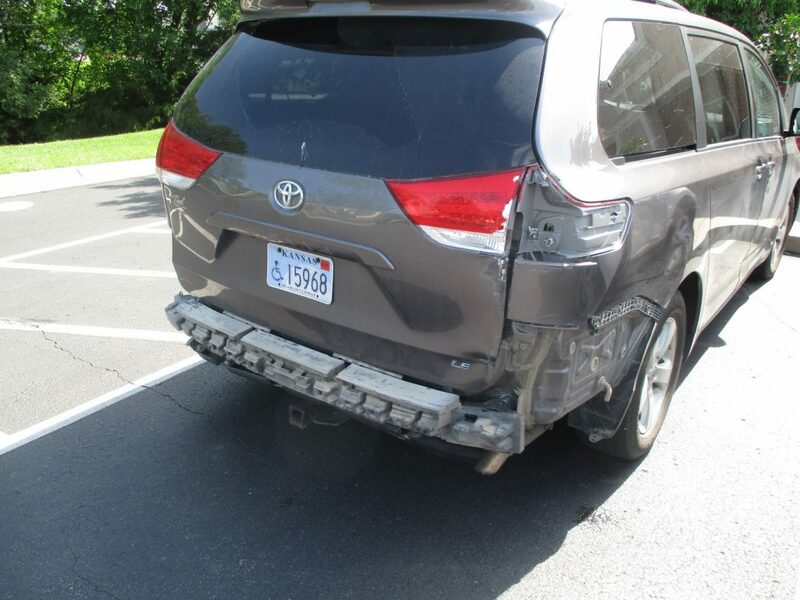 The team repaired radiator support and plastic shields, replaced the lower grille, performed an evacuated recharge and more to ensure that Robin’s Sienna was in optimal condition. 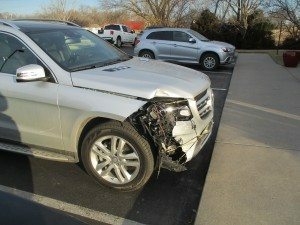 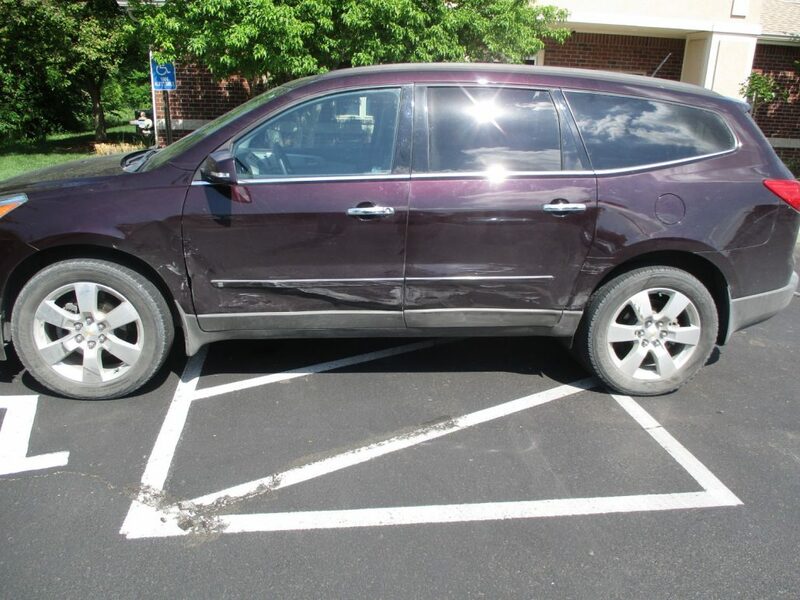 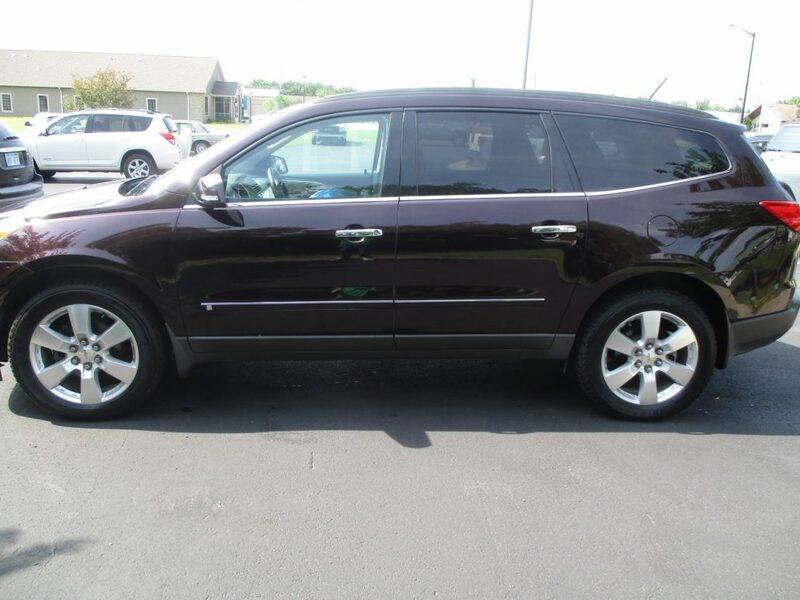 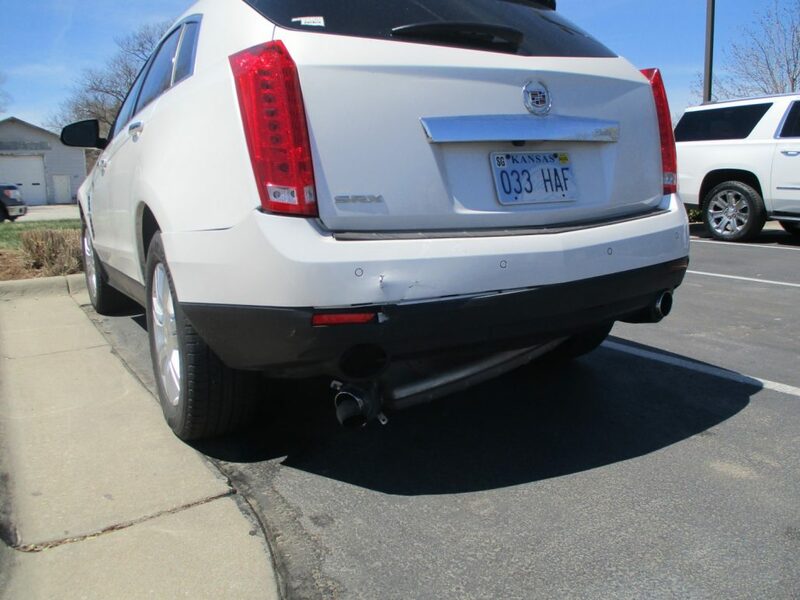 While commuting in Andover, KS, Craig was in an comprehensive loss accident that left his 2012 Cadillac SRX with damage to the front end. 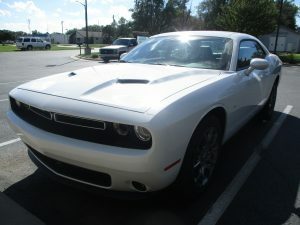 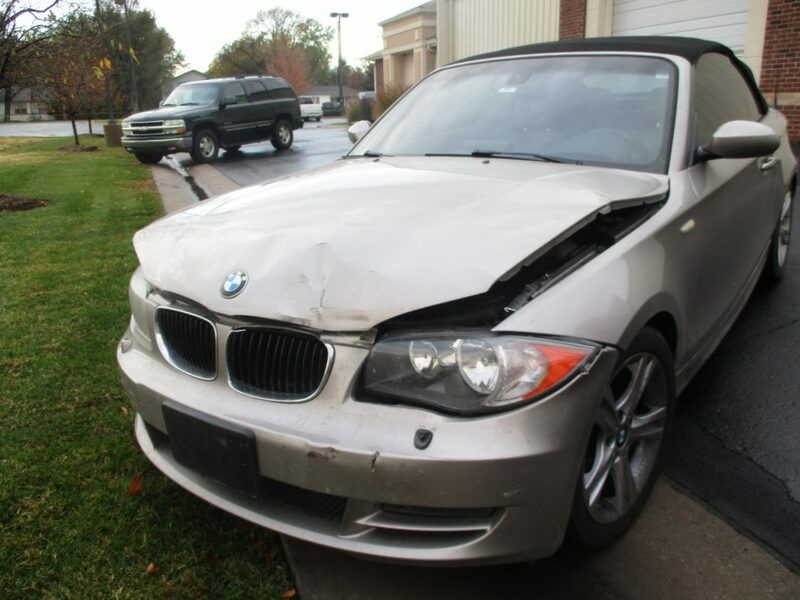 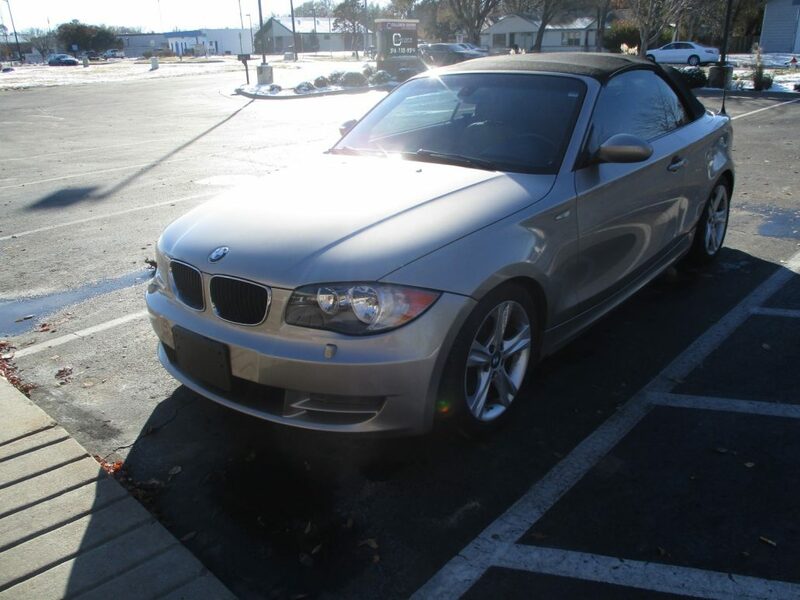 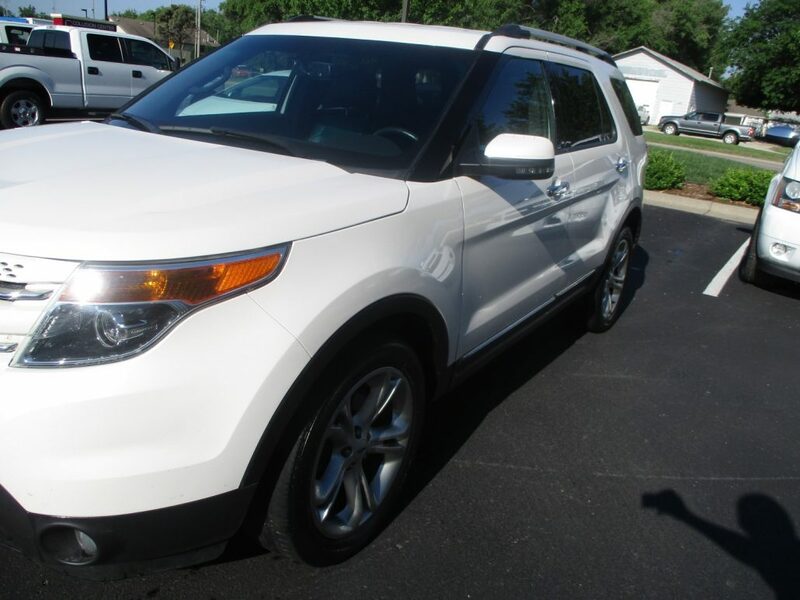 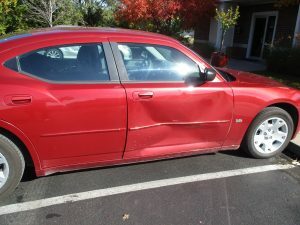 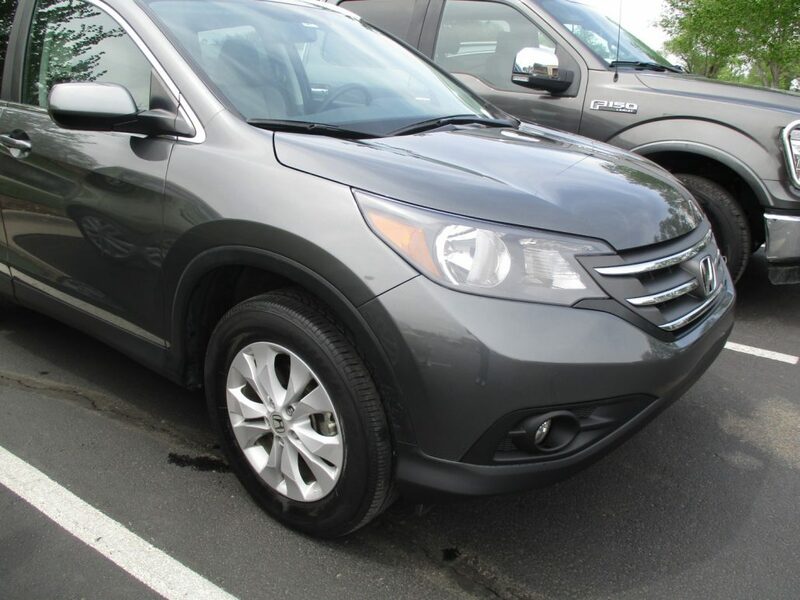 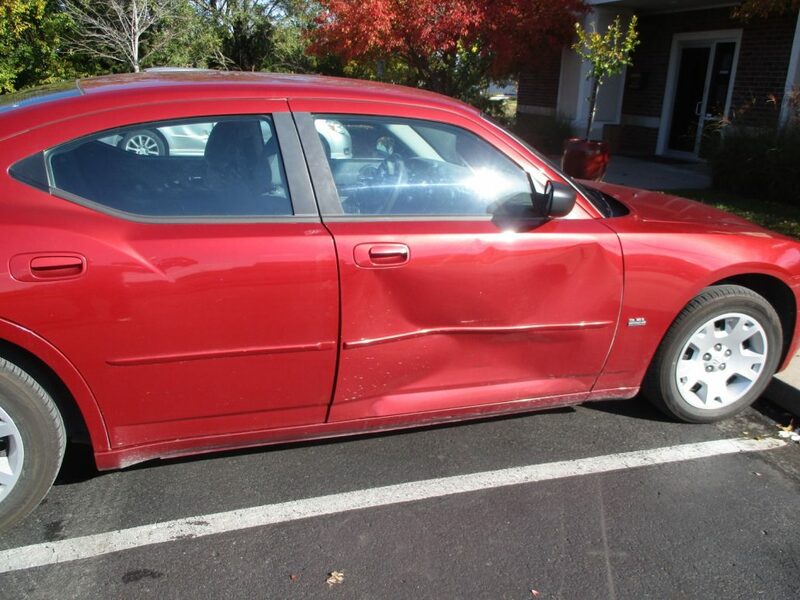 He took his vehicle to Collision Center of Andover, where it was treated with thorough and professional care. 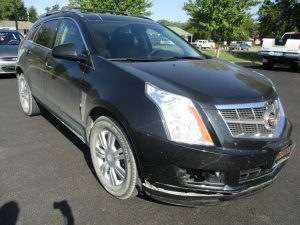 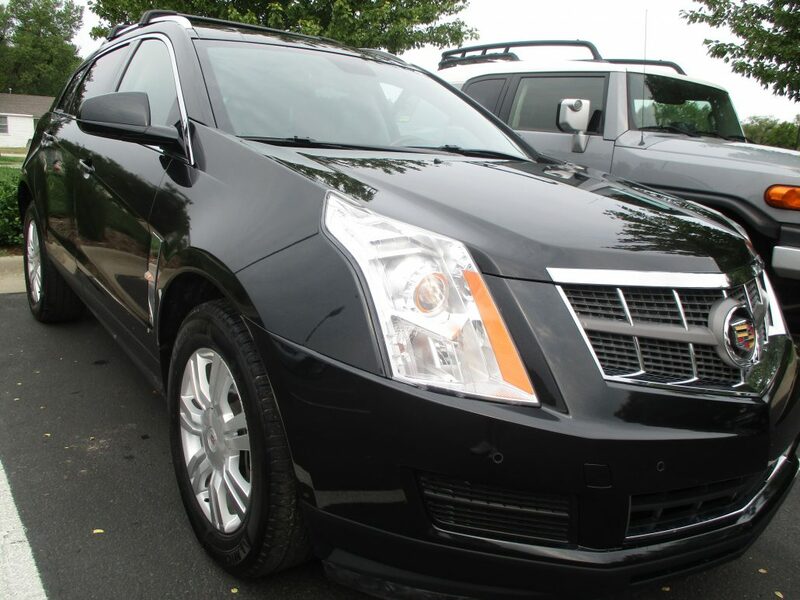 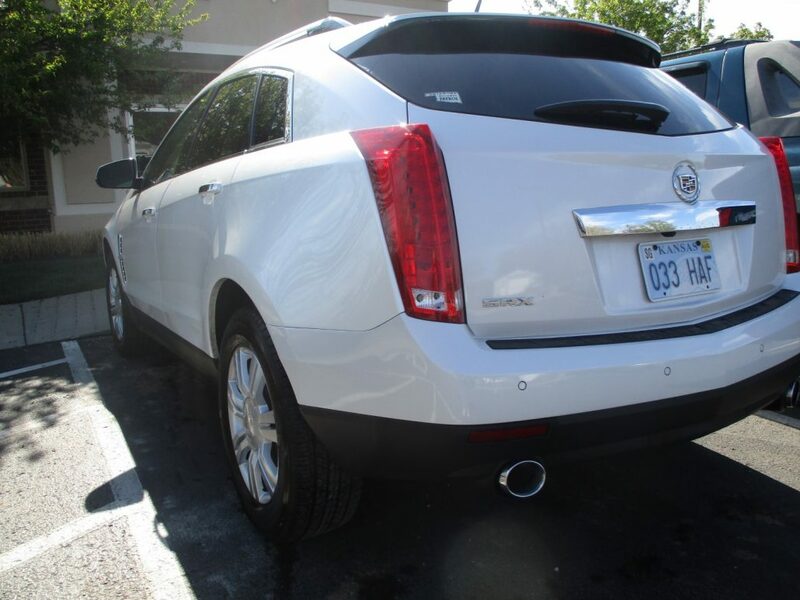 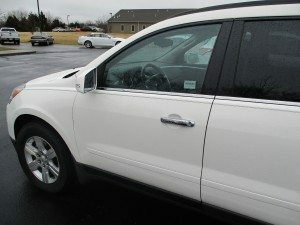 Six days later, the SRX was returned with nine newly-replaced parts and repairs to the front passenger door, fender, and bumper cover to name a few. 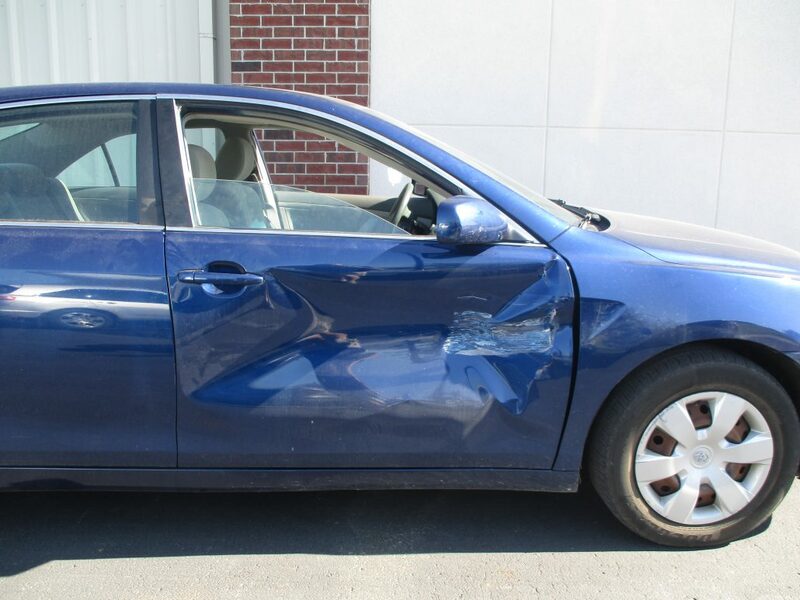 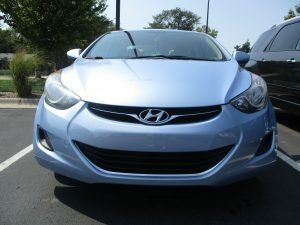 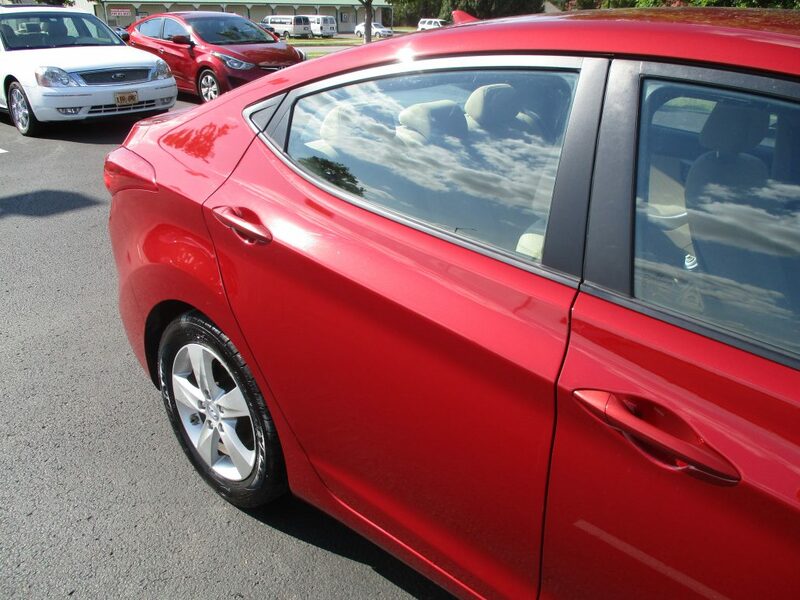 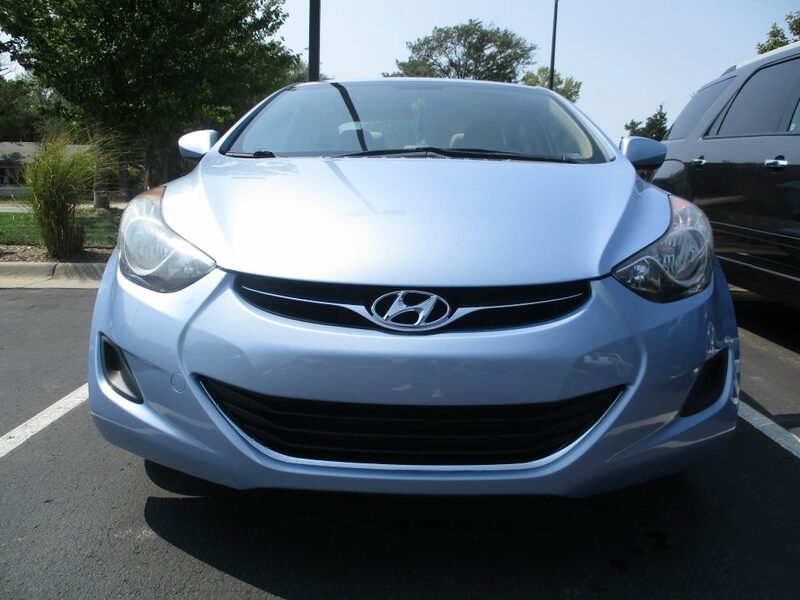 Andover Collision Center’s skilled team completed repairs on Haleigh’s 2013 Hyundai Elantra in just five days. 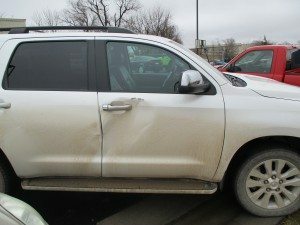 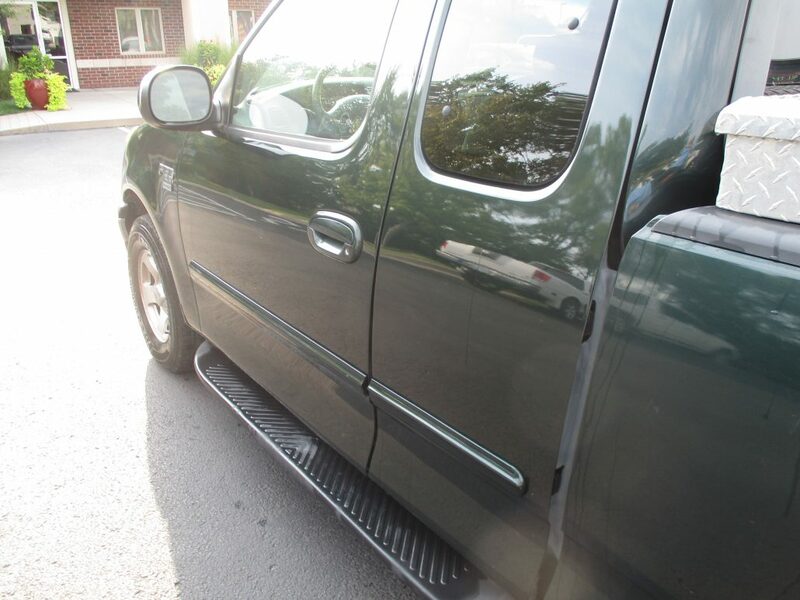 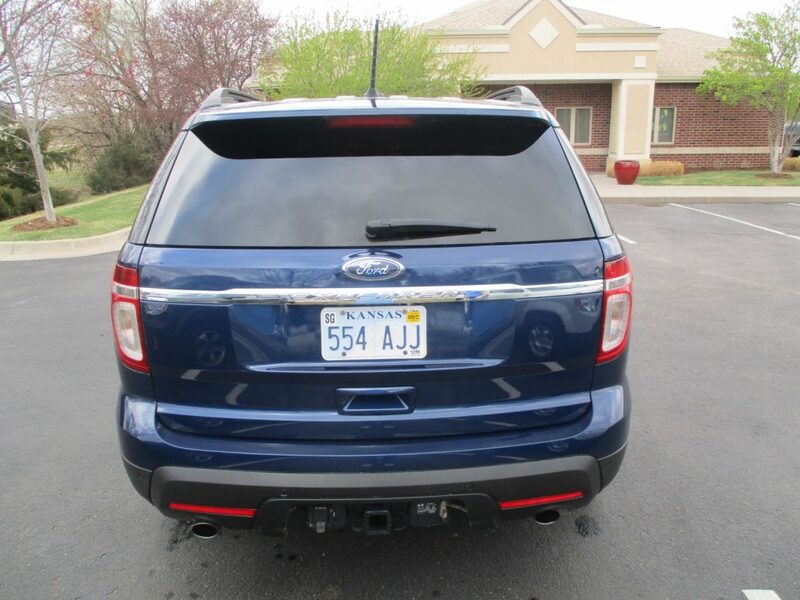 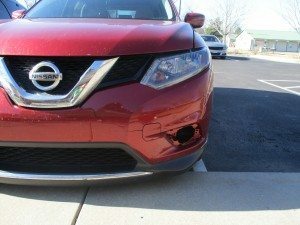 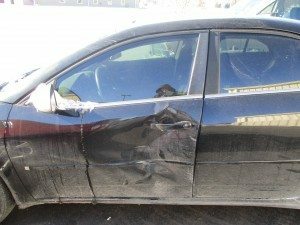 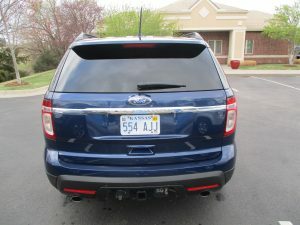 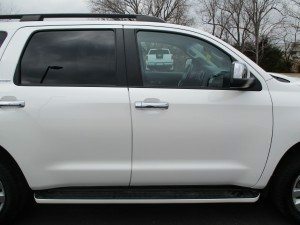 After being hit low on the passenger side in Augusta, KS, the vehicle needed a new right side front door and significant repair to the rocker panel and other areas. 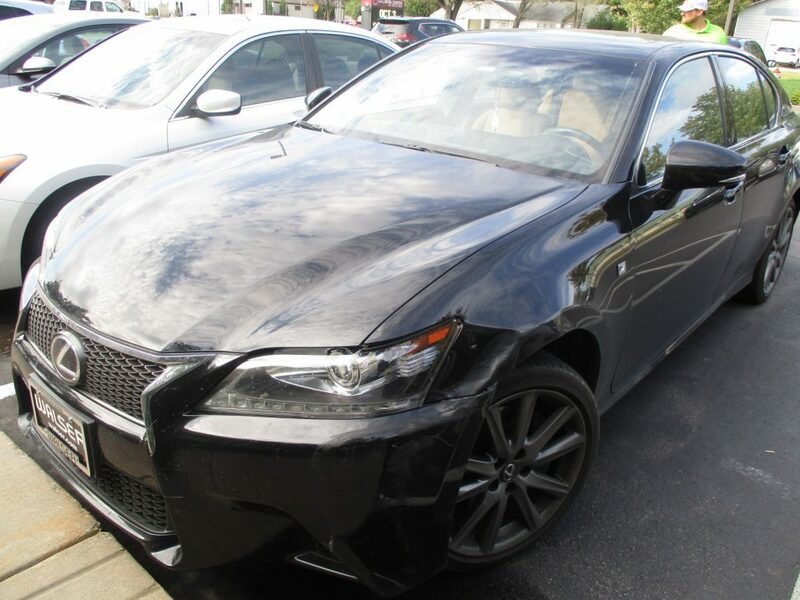 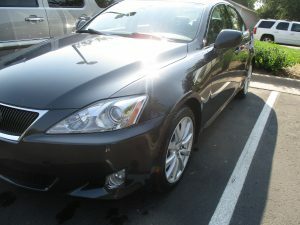 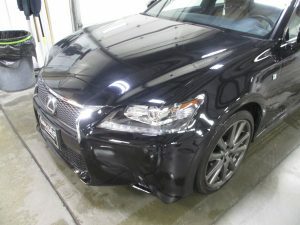 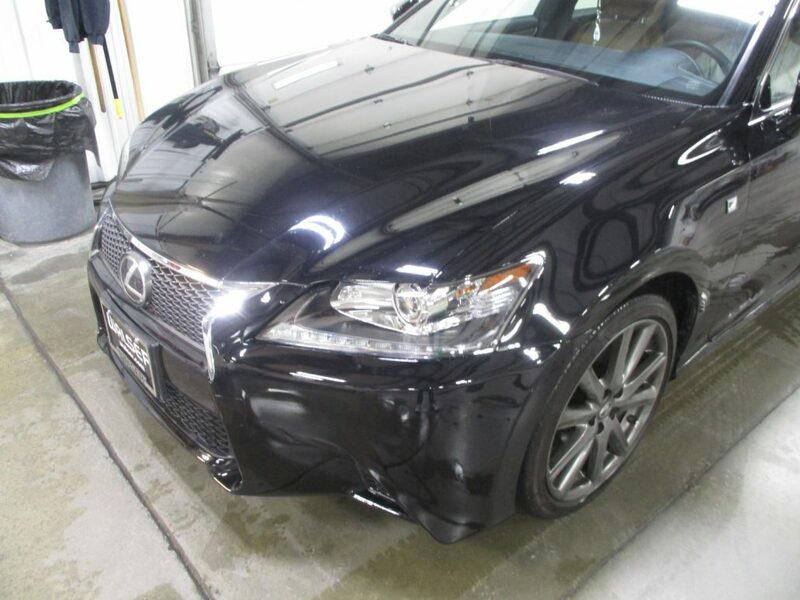 When Chris’s Lexus IS250 was in a frontal collision, it needed a bumper, headlight and wheel replaced, he took it to Collision Center of Andover, where it received quality care from the team of professionals. 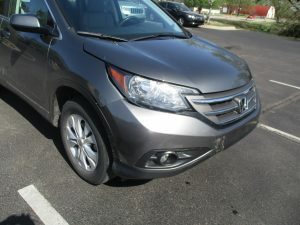 After also performing a tire alignment, the team released the vehicle back to its owner in just four days.